Around the turn of the 20th century, many Mennonite Brethren churches began to appear in what later became the province of Saskatchewan. In 1909, the MB immigrants, most of which were from the United States, organized themselves as the Northern District Conference of General Conference of MB Churches in North America. During the first Northern District Convention in Herbert in 1910, many concerns were expressed about the need for church-related schools, to help the youth retain the German language, to train church workers, and to strengthen the church. It was after this convention that the vision was born for Bethany Bible Institute and other Bible schools, such as Herbert Bible School and Coaldale Bible School. In 1927, a nine-man board was chosen, representing Laird, Burden, Hepburn, Dalmeny, Waldheim, and Brotherfield. These men purchased the old Hepburn Public School that would later become Bethany Bible Institute. Classes were first taught in the Hepburn Church with D.P. Esau teaching seven students. The school motto was: “Study to show thyself approved unto God” (2 Tim 3:15). By the end of that year, enrollment had tripled to 21 students. It was in the 1930s that the school began teaching out of their own building, the old Hepburn Public School. In the late 1930s and early 1940s, the school's emphasis began to shift from the preservation of the German language toward missions. Many Bethany graduates were becoming career missionaries. In 1968, Bethany amalgamated with Alberta MB Bible Institute of Coaldale. It was in 1977 that a decision was made to seek accreditation with the American Association of Bible Colleges. After many evaluations, accreditation was abandoned in 1986, but was later revived; Bethany received accreditation with the American Association of Bible Colleges (AABC) in 2000. In 1995, the Saskatchewan Conference of Evangelical Mennonite Mission Church joined as a third co-sponsor of Bethany. In 2004, the school's name changed to Bethany College. Howard Wall became the school's last president in 2010. He led the school through to its closure in 2015. Note: At the Saskatchewan MB convention on March 13, 2015, Randy Klassen made a presentation with slides reviewing the 88-year history of the school. The text and the slides are available for viewing/downloading (click here). The records found in this collection consist of school yearbooks, calendars, brochures, school paper, catalogues, convention reports and other memorabilia. The material in this collection has come to the archives at various times from various donors. In 2009, records from Bethany were brought from the school via Doug Heidebrecht. In 2012, Paul Toews deposited a book listing the activities of the prayer group (1932–1937). In 2013, Ross Hardy, retired stewardship representative for the Saskatchewan Conference, deposited correspondence, minutes and insurance related material that were in his files (Vol. 1334-A, File no. 1). In October 2015, Jon Isaak drove from Winnipeg to Hepburn with a rental van and brought back to CMBS for archiving approximately 50 boxes of material that Bethany College staff had previously sorted: meeting minutes, correspondence, department files, photographs, recordings, etc. (Acc. no. 2015-19). Volumes 667–669, 1271, 1288–1297, 1300, 1302–1309, 1312–1313, 1334-A, 1449–1468. Language: English, some material in German. Described by Janelle Hume, June 26, 2006, updated by Conrad Stoesz Dec. 10, 2009, updated by Bert Friesen 2010 November, Conrad Stoesz Dec 20, 2012, Kate Woltmann July 2014, Phil Enns December 2016, and Bruna Malshi July 2017. Accession nos. 2009-40, 2012-16, 2013-30, 2015-19. Related material located in periodical collection: Bethany Bible Institute Connection, 1999–2001; Bethany Bible Institute Contact, 1946–2000. I. Yearbooks , catalogues, and calendars. 125 cm of textual records. This series consists of school yearbooks 1947—2014, school catalogs 1937–2015, and school calendars 1980—1989. Location: Volumes 667–669, 1271, 1467 file no. 13, and 1468. 45 cm of textual records. This series consists of annual report books and minutes. Location: Volume 1288 and 1467 file no. 14. III. Committee reports and minutes. 750 cm of textual records. This series consists of documents related to various school committees: School Executive Reports and Minutes, Staff Reports and Minutes, Board of directors Reports and Minutes, and miscellaneous correspondence dealing with faculty workload, textbooks, and course scheduling. Location: Volumes 1289–1297, 1300, 1302–1309, 1312, 1313, 1450, and 1451. 160 cm of textual records. This series consists of documents related to student grades or marks, correspondence, surveys, alumni news, etc. Location: Volumes 1453, 1454, 1455, and 1456. 120 cm of textual records. 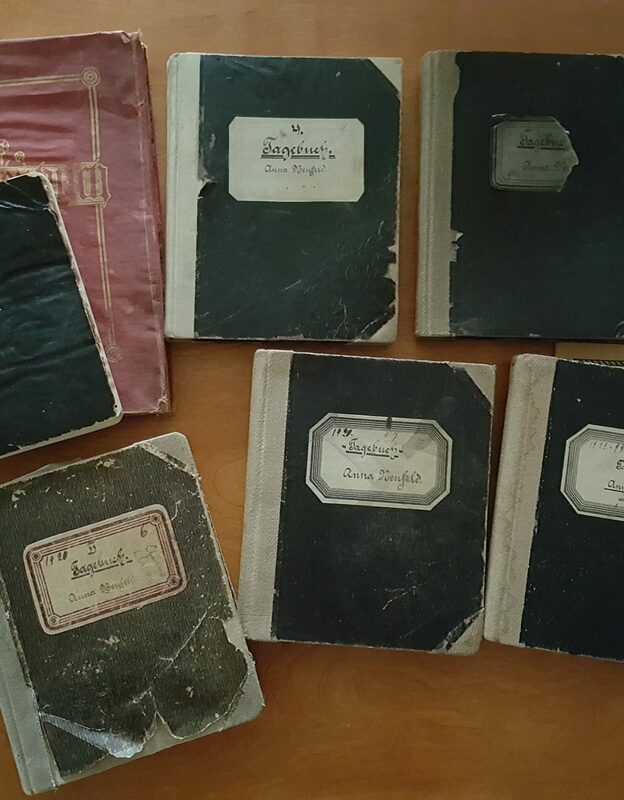 This series consists of copies of syllabi and exams used in the Bethany courses from the '70s through to the '90s. Location: Volumes 1460, 1461, and 1462. VI. Deputation and Touring groups. 55 cm of textual records. This series consists of deputation itineraries and programs produced by the various Bethany singing and touring groups. Location: Volumes 1334A and 1449. VII. Student Life and newspaper. This series consists of correspondence and reports from student life on campus, including Student Council (STUCO) minutes, Student Development minutes, copies of student newspaper (Mirror), etc. Location: Volumes 1459, 1463–1465, and 1466 file nos. 1–4. This series consists of correspondence and reports related to Bethany's accreditation processes. Location: Volumes 1452 and 1453 file nos. 1–7. IX. Publicity and promotional material. 80 cm of textual records. This series consists of bulletins inserts, programs, brochures and posters, all related to publicity and promotion of the school, its mission and its programs. Location: Volumes 1466 and 1467. This series consists of various documents related to the campus improvements and construction projects from the '50s through the '90s, including drawings, maps, blueprints, building fund correspondence and minutes. Location: Volumes 1457 and 1458. Location: Periodical Collection: Bethany Bible Institute Connection, 1999–2001; Bethany Bible Institute Contact, 1946–2013. 1. “The Ray” – Student Yearbook. -- 1946–1947, 1951–1972. 1. “Fireside” – Songbook. -- 1978. 2. Calendars. -- 1980–1983, 1985, 1988–1989. 4. Correspondence. -- 1979–1985, 1991, 2000. 5. “The Mirror” – School Paper. -- 1967, 1972–1976. 6. Catalogues. -- 1937–1938, 1941–1942, 1969–1970, 1974–1986, 1988–1998, 1988–1990, 1991–1993, 1994–1998, 2009–2010. 7. Convention Reports. -- 1984, 1986–1988. 8. Bethany Bible Institution Pin. -- [198?]. 9. Bethany Bible Institution 75th celebration 2002. Historical sketch [194?]. -- [194? ], 2002. 10. Report Card – Maria Penner. -- 1931–1932. 11. Proclaim Jubilee! by Margaret Epp. -- 1977. 12. Des Gebitsbundes der Bethanien Bibleschule = the prayer group of the Bethany Bible School. Includes a listing of activities and members. -- 1932-1937. 13. Promotional Brochures. -- 2010–2011, 2012–2013. 1. “The Ray” – Student Yearbook. -- 1973-1978. 1. "The Ray" -- Student Yearbook. -- 1979—1989, 1991—2002, 2004—2008. 1. Annual convention report book and minutes. -- 1968. 2. Annual convention report book. -- 1969. 3. Annual convention report book and minutes. -- 1970. 4. Annual convention report book. -- 1971. 5. Annual convention report book and constitution. -- 1972. 6. Annual convention report book and minutes. -- 1973. 7. Annual convention report book and minutes. -- 1974. 8. Annual convention report book and minutes. -- 1975. 9. Annual convention report book and minutes. -- 1976. 10. Annual convention report book and minutes. -- 1977. 11. Annual convention report book and minutes. -- 1978. 12. Annual convention report book and minutes. -- 1979. 13. Annual convention report book and minutes. -- 1980. 14. Annual convention report book. -- 1981. 15. Annual convention report book, minutes, and constitution. -- 1982. 16. Annual convention report book and minutes. -- 1983. 17. Annual convention report book and minutes. -- 1984. 18. Annual convention report book, minutes, and correspondence. -- 1985. 19. Annual convention report book and minutes. -- 1986. 20. Annual convention report book and minutes. -- 1987. 21. Annual convention report book and minutes. -- 1988. 22. Annual convention report book and minutes. -- 1989. 23. Annual convention report book and minutes. -- 1990. 24. Annual convention report book and minutes. -- 1991. 25. Annual convention report book and minutes. -- 1992. 26. Annual convention report book and minutes. -- 1993. 27. Annual convention report book and minutes. -- 1994. 28. Annual convention report book and minutes. -- 1995. 29. Annual convention report book and minutes. -- 1996. 30. Annual convention report book and minutes. -- 1997. 31. Annual convention report book and minutes. -- 1998. 32. Annual convention report book. -- 1999. 33. Annual convention report book and minutes. -- 2000. 1. Council members list. -- 1964. 2. Council meeting minutes and reports. -- 1964-1966. 3. Council meeting reports. -- 1963-1967. 4. Council meeting minutes and reports. -- 1967-1968. Executive committee minutes. -- 1968. 5. Executive committee meeting minutes. -- 1969. Board meeting minutes. -- 1967—1969. 6. Executive committee meeting minutes and reports. -- 1969—1970. Board meeting minutes and reports 1969—1970. -- 1969—1970. 7. Executive committee meeting minutes. -- 1970. Board meeting minutes. -- 1970. 8. Executive committee meeting minutes. -- 1971—1972. Board meeting minutes. -- 1971—1972. Reports and correspondence. -- 1971—1972. 9. Executive committee meeting minutes. -- 1972—1973. Board meeting minutes and reports. -- 1972v—1973. 10. Executive committee meeting minutes. -- 1973—1974. Board meeting minutes and reports. -- 1973—1974. 11. Executive committee meeting minutes. -- 1974—1975. Board meeting minutes and reports. -- 1974—1975. 12. Executive committee meeting minutes. -- 1975—1976. Board meeting minutes and reports. -- 1975—1976. 13. Executive committee meeting minutes. -- 1976—1977. Board meeting minutes and reports. -- 1976—1977. 14. Executive committee meeting minutes. -- 1976—1977. American Association of Bible Colleges meeting minutes 1976. -- 1976—1977. 15. Executive committee meeting minutes. -- 1977—1978. Board meeting minutes and reports. -- 1977—1978. Faculty meeting minutes. -- 1977—1978. 1. Staff reports. -- 1987. 2. Staff reports. -- 1988. 3. Staff reports and minutes. -- 1989. 4. Staff reports and minutes. -- 1990. 5. Staff reports and minutes. -- 1991. 6. Staff reports and minutes. -- 1992. 7. Staff reports and minutes. -- 1992. 8. Staff reports and minutes. -- 1993. 9. Long range planning documents. -- 1993. 10. Staff reports and minutes. -- 1994. 11. Student orientation documents. -- 1995. 12. Staff reports and minutes. -- 1995. 13. Staff reports and minutes. -- 1996. 14. Staff reports and minutes. -- 1997. 15. Long range planning documents. -- 1998. 16. Staff reports and minutes. -- 1998. 17. Staff reports and minutes. -- 1999. 18. Staff reports and minutes. -- 2000. 19. Staff reports and minutes. -- 2001. 20. Staff reports and minutes. -- 2003. 2. Budget meeting minutes. -- 2001. 3. Application team minutes. -- 2001. 4. Chapel committee meeting reports and minutes. -- 1989—2000. 5. Computer committee meeting reports and minutes. -- 1995—2000. 6. Development committee meeting reports and minutes. -- 1997—2000. 7. Discipline committee meeting minutes. -- 1997—2000. 8. Fund raising committee reports and minutes. -- 1994—1996. 9. Hiring committee meeting minutes. -- 1999. 10. LRC committee meeting minutes. -- 1998—1999. 11. Mission statement committee meeting minutes. -- 1999. 12. Program committee meeting, recreation committee meeting, and grad committee meeting minutes. -- 1996—1998. 13. Committee guidelines. -- 1995. 14. Publicity committee reports and minutes. -- 1979—1993. 15. Resource committee reports and minutes -- 1995—2000. 16. Social committee minutes. -- 1989—2001. 17. Staff meeting minutes. -- 1998—1999. 18. TLC meeting reports and minutes. -- 1996. 19. Youth Advance committee minutes. -- 1993—1997. 20. Youth Advance committee minutes. -- 1998—2002. 21. Bethany history documents. -- 1944—2002. 22. Saskatchewan congregations member lists. -- 1962—1963. 23. Student Life minutes. -- 1996—2002. 24. Student ministry committee minutes. -- 1998—2001. 25. Admissions committee minutes. -- 1994—2001. 26. Student council minutes. -- 1989—1999. 27. Student council minutes. -- 1999—2001. 1. Academic committee reports and minutes. -- 1989—1990. 2. Academic committee reports and minutes. -- 1990—1991. 3. Academic committee reports and minutes. -- 1991—1992. 4. Academic committee reports and minutes. -- 1992—1993. 5. Academic committee reports and minutes. -- 1993—1994. 6. Academic committee reports and minutes. -- 1994—1995. 7. Academic committee reports and minutes. -- 1995—1996. 8. Academic committee reports and minutes. -- 1996—1997. Admissions committee minutes 1996-1997. -- 1996—1997. 9. Academic committee reports and minutes. -- 1997—1998. 10. Academic committee reports and minutes. -- 1998—1999. 11. Academic committee reports and minutes. -- 1999—2000. 12. Academic committee reports and minutes. -- 2000—2001. 13. Academic committee reports and minutes. -- 2001—2002. 14. Deans reports and minutes. -- 1990—1992. 15. Deans reports and minutes. -- 1992—1993. 16. Deans minutes. -- 1993—1994. 17. Deans minutes. -- 1995—1996. 18. Deans minutes. -- 1996—1997. 19. Deans minutes. -- 1997—1998. 20. Deans minutes. -- 1998—1999. 21. Deans minutes. -- 1999—2000. 22. Deans minutes. -- 2000—2001. 23. Board reports and minutes. -- 1987—1988. Act of incorporation 1988. -- 1987—1988. 24. Board reports and minutes. -- 1988—1989. Academic commission minutes . -- 1988—1989. Board executive minutes 1988. -- 1988—1989. 25. Board reports and minutes. -- 1989—1990. Academic commission minutes. -- 1989—1990. Board executive minutes 1989. -- 1989—1990. 26. Bethany 60th Anniversary Service and history. -- 1987. 1. Board executive minutes. -- 1989—1991. 2. Board reports and minutes. -- 1990—1991. 3. Board reports and minutes. -- 1991—1992. Agreement between Alberta and Saskatchewan MB Conf. -- 1991. Amendment to act of incorporation 1992. -- 1991—1992. 4. Executive committee minutes. -- 1991—1992. 5. Fund raising committee minutes. -- 1991—1992. 6. Student Life Commission minutes and report. -- 1991—1992. 7. Executive committee minutes. -- 1992—1993. 8. Board reports and minutes. -- 1992–1993. 9. Executive and board reports and minutes. -- 1992–1993. 10. Executive committee minutes. -- 1993–1994. 11. Board and executive committee reports and minutes. -- 1993–1994. 12. Board reports and minutes. -- 1994–1995. 13. Executive committee minutes. -- 1994–1995. 14. Board reports and minutes. -- 1995–1996. 15. Executve committee minutes. -- 1995–1996. 16. Financial reports. -- 1995–1996. 17. Executive committee minutes. -- 1996–1997. 18. Board reports and minutes. -- 1996–1997. 19. Committee and commission reports and minutes. -- 1996–1997. 20. Executive committee minutes. -- 1997–1998. 21. Board reports and minutes. -- 1997–1998. 22. Committee and commission reports and minutes. -- 1997–1998. 23. Executive committee minutes. -- 1998–1999. 24. Board report and minutes. -- 1998–1999. 25. Committee and commission reports and minutes. -- 1998–1999. 26. Board report and minutes. -- 1999–2000. 27. Committee and commission reports and minutes. -- 1999–2000. 28. Board reports and minutes. -- 2000–2001. 1. Executive committee reports and minutes. -- 1999–2001. 2. Committee and commission reports and minutes. -- 2000–2001. 3. Board reports and minutes. -- 2001–2002. 4. Commission reports and minutes. -- 2001–2002. 5. Administration committee reports and minutes. -- 1989–1990. 6. Administration committee reports and minutes. -- 1990–1991. 7. Administration committee reports and minutes. -- 1991–1992. 8. Administration committee reports and minutes. -- 1992–1993. 9. Administration committee reports and minutes. -- 1993–1994. 10. Administration committee reports and minutes. -- 1994–1995. 11. Administration committee reports and minutes. -- 1995–1996. Evangelical Mennonite Mission Conference constitution. -- 1995–1996. 12. Administration committee reports and minutes. -- 1996–1997. 13. Administration committee reports and minutes. -- 1997–1998. 14. Administration committee reports and minutes. -- 1998–1999. 15. Administration committee reports and minutes. -- 1999–2000. 16. Administration committee reports and minutes. -- 1999–2000. 17. Administration committee reports and minutes. -- 2000–2001. 18. Administration committee minutes. -- 2001–2002. 19. Committee of the whole minutes. -- 1998–2001. 1. Faculty committee reports, correspondence, and minutes. -- 1962–1965. 2. Faculty committee reports and minutes. -- 1965–1966. 3. Faculty committee reports, correspondence, and minutes. -- 1966–1967. 4. Faculty executive reports, correspondence, and minutes. -- 1966–1972. 5. Faculty committee reports and minutes. -- 1967–1968. Association of Canadian Bible Colleges bylaws. -- 1967–1968. 6. Faculty committee reports and minutes. -- 1968–1969. Amendment of Constitution of the General Conference of the Mennonite Brethren Churches. -- 1968–1969. 7. Faculty committee reports, correspondence, and minutes. -- 1969–1970. 8. Faculty committee reports, correspondence, and minutes. -- 1970–1971. 9. Faculty committee reports, correspondence, and minutes. -- 1971–1972. 10. Faculty committee reports, correspondence, and minutes. -- 1970–1973. 11. Faculty committee reports, correspondence, and minutes. -- 1973–1974. 12. Faculty committee reports, correspondence, and minutes. -- 1974–1975. Constitution of Association of Canadian Bible Colleges. -- n.d.
Constitution of American Association of Bible Colleges. -- 1974–1975. 13. Faculty committee reports, correspondence, and minutes. -- 1975–1976. 14. Faculty committee reports, correspondence, and minutes. -- 1976. 15. Faculty committee reports, correspondence, and minutes. -- 1976–1977. 16. Faculty committee reports and minutes. -- 1986–1987. 17. Faculty committee reports and minutes. -- 1987–1988. 18. Faculty committee minutes. -- 1988–1989. 19. Faculty committee minutes. -- 1989–1990. 20. Faculty committee reports, correspondence, and minutes. -- 1990–1991. 21. Faculty committee reports and minutes. -- 1991–1992. 22. Faculty committee reports and minutes. -- 1992–1993. 1. Faculty committee reports and minutes. -- 1993–1994. Constitution of the Student Organization 1994. -- 1993–1994. 2. Faculty committee reports and minutes. -- 1994–1995. 3. Faculty committee reports and minutes. -- 1995–1996. 4. Committee of the whole reports and minutes. -- 1996. 5. Faculty committee reports and minutes. -- 1996–1997. 1. Faculty committee minutes. -- 1998–1999. 2. Faculty committee reports and minutes. -- 1999–2000. 3. Faculty committee minutes. -- 2000–2001. 4. Faculty committee minutes. -- 2001–2002. 9. Bethany Bible Institute Board minutes and acts of incorporation, constitution, and bylaws. -- 1972–1996. 10. Bethany Bible Institute executive committee and board reports and minutes. -- 1985–1995. 17. Board correspondence and minutes. -- 1986–1989. Convention correspondence and reports. -- 1988. Joint Alberta and Saskatchewan exec. comm. minutes. -- 1988–1991. Constitution and bylaws amendments and correspondence. -- 1972–1991. 18. Living Evidence, Doug Berg, Bethany Publishing. -- 2000. 1. Correspondence with contact persons. -- 1979–1985. 2. Correspondence and documents of prayer and advisory council. -- 1983–1987. 3. 100 Club list and programme. - n.d.
4. Partnership Council documents. -- [199?]. 5. Miscellaneous correspondence and documents, "A". -- 1970–1974. 6. Miscellaneous correspondence and documents, "B". -- 1970–1974. 7. Miscellaneous correspondence and documents, "C". -- 1970–1974. 8. Miscellaneous correspondence and documents, Voth's paper on non-medical use of drugs, "D". -- 1970–1974. 9. Miscellaneous correspondence and documents, libretto for oratorio 'Elijah', "E". -- 1970–1974. 10. Miscellaneous correspondence and documents, "F". -- 1970–1975. 11. Miscellaneous correspondence and documents, "H". -- 1970–1974. 12. Miscellaneous correspondence and documents, "I". -- 1970–1974. 13. Miscellaneous correspondence and documents, "J". -- 1970–1974. 14. Miscellaneous correspondence and documents, "K". -- 1970–1974. 15. Miscellaneous correspondence and documents, "L". -- 1970–1974. 16. Miscellaneous correspondence and documents, "M". -- 1970–1975. 17. Miscellaneous correspondence and documents, "N". -- 1970–1978. 18. Miscellaneous correspondence and documents, "O". -- 1970–1973. 19. Miscellaneous correspondence and documents, "P". -- 1970–1974. 20. Miscellaneous correspondence, "Q". -- 1970–1971. 21. Miscellaneous correspondence and documents, "R". -- 1970–1974. 22. Miscellaneous correspondence and documents, memo from Prairie Mennonite Mutual Fire Ins. Co., "S". -- 1970–1974. 23. Miscellaneous correspondence and documents, "T". -- 1970–1974. 24. Miscellaneous correspondence and documents, "U". -- 1970–1974. 25. Miscellaneous correspondence and documents, "V". -- 1970–1974. 26. Miscellaneous correspondence and documents, "W". -- 1970–1975. 27. Miscellaneous correspondence and documents, "X,Y,Z". -- 1970–1973. 28. Miscellaneous correspondence and documents, "G". -- 1970–1974. 29. Form letters. -- 1970–1974. 30. Guest speakers correspondence. -- 1974. 31. Alumni correspondence. -- 1970–1974. 1. Faculty committee reports and minutes. -- 1980–1981. 2. Faculty committee reports and minutes. -- 1981–1982. 3. Faculty committee minutes. -- 1982–1983. 4. Faculty committee reports. -- 1982–1983. 5. Faculty committee reports and minutes. -- 1983–1984. 6. Faculty committee reports and minutes. -- 1984–1985. 7. Faculty committee reports and minutes. -- 1985–1986. 8. Faculty committee reports and minutes. -- 1997–1998. 9. Orientation documents. -- 1974–1976. 10. Orientation documents and syllabi. -- 1978. 11. Orientation documents and correspondence. -- 1979. 12. Orientation documents, syllabi, faculty committee minutes and correspondence. -- 1979. 13. Orientation and debriefing documents, faculty minutes, and syllabi. -- 1981–1982. 1. Orientation documents, faculty committee minutes and reports. -- 1982. 2. Debriefing documents. -- 1983. 3. Orientation documents and reports. -- 1983. 4. Debriefing documents. -- 1984. 5. Faculty committee minutes. -- 1984–1985. 6. Orientation and debriefing documents. -- 1984–1985. 7. Orientation documents, faculty minutes, and correspondence. -- 1985. 8. Debriefing documents and faculty minutes. -- 1986. 9. Debriefing documents and faculty minutes. -- 1987. 10. Student orientation documents. -- 1987–1988. 11. Faculty orientation documents. -- 1987–1988. 12. Faculty minutes. -- 1988. 13. Faculty minutes. -- 1989. 14. Faculty orientation documents. -- 1988. 15. Faculty orientation documents. -- 1990. 16. Debriefing documents and faculty minutes. -- 1990. 17. Debriefing documents and faculty minutes. -- 1991. 18. Faculty orientation documents. -- 1991. 19. Faculty orientation documents. -- 1992. 20. Debriefing and spring planning documents. -- 1992. 21. Evaluation and planning documents. -- 1993. 22. Faculty orientation documents. -- 1996. 23. Evaluation and planning documents. -- 1999–2000. 24. Miscellaneous documents and correspondence. -- 1974–1978. 25. Miscellaneous documents, institute directory, and reports. -- 1977–1978. 26. Faculty minutes, reports, and miscellaneous documents. -- 1977–1979. 27. Faculty minutes, reports, miscellaneous documents, and the Chicago statement on Biblical inerrancy. -- 1978–1979. 28. Faculty minutes, reports, and a paper on church leadership expectations of MB educational institutions. -- 1979–1980. 1. Correspondence to pastors. -- 1964–1969. 2. Correspondence to pastors. -- 1970–1974. 3. Correspondence to pastors. -- 1975–1979. 4. Correspondence to pastors and congregations. -- 1980–1984. 5. Correspondence to pastors. -- 1985–1986. 6. Correspondence to pastors. -- 1986–1987. 7. Correspondence to pastors and congregations. -- 1987–1988. 8. Correspondence to pastors and congregations. -- 1989. 9. Correspondence to pastors and congregations. -- 1989–1991, 1995. 10. Correspondence to parents. -- 1969–1980. 11. Correspondence and documents regarding parents day. -- 1981–1989. 12. Correspondence with students. -- 1982–1988. 13. Correspondence and supporting documents with contact persons. -- 1972–1976. 14. Correspondence and supporting documents with contact persons. -- 1977–1979. 1. Correspondence and supporting documents. -- 1970–1977. 2. MBMSI correspondence. -- 1972–1973. 3. Guest speakers correspondence. -- 1972–1974. 4. Miscellaneous correspondence and documents, "C". -- 1975–1977. 5. Miscellaneous correspondence and documents, "D". -- 1975–1977. 6. Miscellaneous correspondence and documents, "E". -- 1975–1977. 7. Miscellaneous correspondence and documents, "F". -- 1975–1977. 8. Miscellaneous correspondence and documents, "G". -- 1975–1977. 9. Miscellaneous correspondence, "H."-- 1975–1977. 10. Miscellaneous correspondence, "I". -- 1975–1977. 11. Miscellaneous correspondence, "K". -- 1975–1977. 12. Miscellaneous correspondence and documents, "M". -- 1975–1977. 13. Miscellaneous correspondence and documents, "P". -- 1975–1977. 14. Miscellaneous correspondence and documents, "R". -- 1975–1977. 15. Miscellaneous correspondence and documents, "S". -- 1975–1977. 16. Miscellaneous correspondence, "U". -- 1975–1977. 17. Miscellaneous correspondence, "W". -- 1975–1977. 18. Alumni correspondence. -- 1975–1977. 19. Business manager correspondence. -- 1976–1977. 20. Student references correspondence. -- 1976. 21. Miscellaneous correspondence, "B". -- 1977–1981. 22. Miscellaneous correspondence, "C". -- 1977–1978. 23. Miscellaneous correspondence, "D". -- 1977–1979. 24. Miscellaneous correspondence. -- 1977–1981. 25. Miscellaneous correspondence, "E". -- 1980–1982. 26. Miscellaneous correspondence, "J". -- 1977–1979. 27. Miscellaneous correspondence, "K". -- 1977–1983. 28. Miscellaneous correspondence, "M". -- 1977–1981. 29. Miscellaneous correspondence, "P". -- 1977–1980. 30. Miscellaneous correspondence, "R". -- 1976–1981. 31. Miscellaneous correspondence, programme for the inauguration of Elmer Martens at MBBS 1977. -- 1977–1982. 32. Miscellaneous correspondence, "T". -- 1975–1977. 33. Miscellaneous correspondence and documents, "T". -- 1978–1980. 35. Alumni correspondence. -- 1977–1983. 36. Donations correspondence. -- 1978–1980. 37. Miscellaneous correspondence, "I". -- 1978–1979. 39. Student assistance correspondence. -- 1979. 40. Board member correspondence, attendance lists, documents. -- 1956–1983. 41. Board address list. -- n.d.
42. Financial reports. -- 1961. 43. Financial reports and principal's report. -- 1962. 44. Staff reports, financial reports, policy statement, constitution. -- 1963. 45. Board reports and minutes. -- 1964. 46. Board reports and minutes. -- 1965. 47. Board reports, correspondence, and minutes. -- 1966. 48. Board reports and minutes. -- 1967. 49. Executive and board reports and minutes. -- 1968. 50. Executive and board reports and minutes. -- 1969. 51. Executive and board reports and minutes. -- 1970. 52. Executive and board reports, correspondence, minutes and paper on relationship of Bible Institute to MBBC. -- 1971. 53. Executive and board reports and minutes. -- 1972. 1. Executive and board reports, paper on deferred giving, and minutes. -- 1973. 2. Executive and board reports, correspondence, and minutes. -- 1974. 3. Executive and board reports, policy on leaves, and minutes. -- 1975. 4. Executive and board reports and minutes. -- 1976. 5. Executive and board reports and minutes. -- 1977. 6. Donations correspondence. -- 1980. 7. Donations correspondence. -- 1981–1982. 8. Donations correspondence. -- 1982–1983. 9. Miscellaneous correspondence. -- 1975–1983. 10. Miscellaneous correspondence. -- 1983–1984. 11. Donations correspondence. -- 1984. 12. Thank you correspondence. -- 1984–1985. 13. Donation correspondence. -- 1984–1985. 14. Miscellaneous correspondence, "L". -- 1984. 15. Miscellaneous correspondence, "M". -- 1984. 16. Miscellaneous correspondence, "T". -- 1984. 17. Miscellaneous correspondence. -- 1984–1985. 18. Miscellaneous correspondence, "L". -- 1985–1986. 19. Miscellaneous correspondence. -- 1985–1986. 20. Donation correspondence. -- 1985–1986. 21. Miscellaneous correspondence. -- 1986–1987. 22. Miscellaneous correspondence. -- 1987–1988. 23. Miscellaneous correspondence. -- 1988–1989. 24. Donation correspondence. -- 1988–1989. 25. Donation correspondence. -- 1990–1991. 26. Miscellaneous correspondence. -- 1989–1991. 27. Donation correspondence. -- 1991–1992. 28. Miscellaneous correspondence. -- 1991–1994. 29. Chapel documents. -- 1991–1992. 30. Miscellaneous correspondence 1993-1995, Paper entitled 'Bethany in its infancy and early development by H. A. Willems. -- 1993–1995. 31. Miscellaneous correspondence. -- 1995–1997. 2. Student survey of academic programme. -- 1981. 3. Student survey of academic programme. -- 1985. 4. Student survey of academic programme. -- 1981. 5. Student survey of academic programme. -- 1982. 6. Student survey of academic programme. -- 1983. 7. Student survey of academic programme. -- 1998. 1. Board reports and minutes. -- 1977. 2. Board correspondence. -- 1977–1979. 3. Board reports and minutes. -- 1978. 4. Board reports and minutes. -- 1977–1979. 5. Executive and board reports and minutes. Responses to questions regarding accreditation for Bethany Bible Institute. -- 1977–1979. 6. Executive and board reports including survey summary and minutes. -- 1978–1979. 7. Executive and board reports, correspondence, and minutes. -- 1979–1980. 8. Executive and board reports, correspondence, and minutes. -- 1980–1982. 1. Executive and board reports and minutes. -- 1981–1982. 2. Executive and board reports and minutes. -- 1981–1983. 3. Board member nominee profiles. -- 1982. 4. Executive and board reports, minutes, and paper on the scholarship and grant programme. -- 1983–1984. 5. Board member nominee profiles. -- 1983–1984. 6. Executive and board reports, correspondence, and minutes. -- 1984–1985. 7. Executive and board reports and minutes. -- 1985–1986. 8. Executive and board reports, including the special Academic commission report and recommendations and minutes. -- 1986–1987. 9. Board member nominee profiles. -- 1986–1987. 10. Board/President relations documents. -- 1985–1989. 11. Executive and board reports and minutes, B. B. I. policy document, publicity commission report, amended act of incorporation. -- 1987–1988. 12. President's reports to the board. -- 1987–1988. 13. Board chairman's reports including response to the commission on higher education. -- 1988. 14. Board member nominee profiles. -- 1987. 15. Board and executive reports and minutes. -- 1988–1989. 16. Amended constitution documents. -- 1988–1991. 17. President's reports to the board. -- 1988–1989. 18. Board chairman's reports to the board. -- 1988–1989. 19. Board member nominee profiles and terms of office. -- 1988–1989. 20. Academic commission minutes. -- 1988. 21. Board reports and minutes. -- 1989–1990. 22. Faculty reports and minutes. -- 1965–1970. 23. Faculty reports and minutes. -- 1970–1971. 24. Faculty reports and minutes. -- 1970–1975. 25. Faculty reports and minutes. -- 1975–1977. 26. Faculty reports and minutes. -- 1977–1979. 1. Correspondence with official departments and agencies. -- 1942–1952. 2. Board correspondence. -- 1942–1944. 3. Business correspondence re: publishing. -- 1941–1942. 4. Missions correspondence. -- 1942–1944. 5. General correspondence. -- 1942–1945. 6. Missions correspondence. -- 1946–1954. 7. General correspondence. -- 1945–1956. 8. Events correspondence. -- 1949–1954. 9. Alumni and donations correspondence. -- 1948–1949. 10. Correspondence and executive comm. of MBBC minutes. -- 1946–1949. 11. General correspondence. -- 1948–1958. 12. Student correspondence. -- 1951. 13. Radio audience correspondence. -- 1953–1958. 14. St. John Ambulance correspondence. -- 1956–1959. 15. Financial correspondence. -- 1951–1958. 16. Correspondence and newsletters regarding theological education. -- 1948–1958. 17. Missions conference correspondence. -- 1959. 18. General correspondence. -- 1960. 19. Financial correspondence. -- 1961–1964. 20. Travel correspondence. -- 1969–1970. 21. Radio audience correspondence. -- 1966–1969. 22. First aid classes. -- 1966–1969. 23. Correspondence regarding radio broadcasts. -- 1967–1969. 25. Bethany Bible Institute Financial statements. -- 1978–2002. 1. Academic reports and policies. -- 1977–1981. 2. Academic committee minutes. -- 1979–1983. 3. Academic committee minutes. -- 1983–1984. 4. Academic committee minutes. -- 1984–1985. 5. Academic committee minutes. -- 1986–1987. 6. Academic committee reports and minutes. -- 1987–1988. 7. Academic committee minutes. -- 1988–1989. 8. Academic committee reports and minutes. -- 1990–1991. 9. Administrative committee reports and minutes. -- 1963–1970. 10. Administrative committee reports and minutes. -- 1969–1970. 11. Administrative committee reports and minutes. -- 1963–1964. 12. Administrative committee reports, minutes, and study abroad options. -- 1970. 13. Administrative committee reports and minutes. -- 1977–1979. 14. Administration committee reports,minutes, and catalogue. -- 1982–1983. 15. Administrative committee reports and minutes. -- 1979–1981. 16. Administrative committee and executive committee reports, newsletters, minutes, and correspondence regarding an aviation programme. -- 1983–1984. 17. Administrative committee minutes. -- 1984–1985. 18. Administrative committee minutes. -- 1988–1989. 19. Administrative committee reports, correspondence, and minutes. -- 1990–1991. 20. Administrative committee reports, correspondence, and minutes. -- 1991–1992. 21. Administrative committee reports, correspondence, and minutes. -- 1992–1993. 22. Administrative committee reports, correspondence, and minutes. -- 1993–1994. 23. Administrative committee reports, correspondence, and minutes. -- 1994–1995. 24. Administrative committee, executive committee, and academic committee reports, correspondence, and minutes. -- 1995–1996. 25. Administrative committee, finance committee, and strategic planning committee reports, correspondence, and minutes. -- 1996–1998. 26. Publicity committee reports and minutes. -- 1980–1982. 27. Publicity committee reports and minutes. -- 1983. 28. Publicity committee reports and minutes. -- 1987. 29. Publicity committee reports and minutes. -- 1988–1989. 30. Publicity committee reports and minutes. -- 1989–1992. 31. Fund raising and development committee reports and minutes. -- 1996–2000. 32. Computer committee reports and minutes. -- 1998–2000. 33. Dean's committee reports and minutes. -- 1986. 34. Dean's committee reports and minutes. -- 1990–1991. 35. Finance committee reports and correspondence. -- 1981–1985. 36. Library committee minutes. -- 1983. 37. Program committee minutes. -- 1981, 1986. 38. Program committee reports and minutes. -- 1989–1991. 39. Social committee reports and minutes. -- 1989. 40. Alumni correspondence. -- 1930–1973. Report of the Exec. and investigation comm. -- 1959. Wm. Bestvater's textbooks on doctrines and Biblical studies. -- 1927–1959. 1. Minutes, correspondence, insurance materials, "Bethany Life," "The Bethany Report," "Bethany's Vision for Growth." -- 1984–1989, 1993. 2. Deputation. Correspondence. -- 1966–1967. 3. Deputation. Correspondence. -- 1967–1968. 4. Deputation. Defuels. -- 1967–1968. 5. Deputation Confirmation. -- 1968–1969. 8. Deputation. Orientation. -- 1969–1970. 9. Alberta Tour. -- 1969–1970. 10. Ontario Tour. -- 1969–1973. 11. Drama Tour. -- 1970–1971. 12. Spring Tour Deputation. -- 1973–1974. 13. Chorale Spring Tour. -- 1970–1971. 17. Deputation Confirmation. -- 1969–1970. 18. BBI Blitz. -- 1970–1971. 2. Bethany Blitz. -- 1971–1972. 3. Carol Spring Tour. -- 1971–1972. 4. BBI Blitz. -- 1972–1975. 5. Spring Tour. -- 1973–1976. 6. Bethany Blitz. -- 1973–1974. 7. Winter Deputation. -- 1973–1974. 8. Term Break Deputation. -- 1974–1975. 9. Winter Deputation. -- 1974–1977. 10. Ladies Choir. -- 1975–1976. 12. Chorale Deputation. -- 1975–1976. 14. Spring Ministry. -- 1975–1977. 15. Spring Ministry. Chorale. -- 1976–1977. 17. Term Break Singing. -- 1977–1978. 18. Term Break Ladies Choir. -- 1977–1978. 19. Choral Winter. -- 1977–1978. 20. Ladies Choir Winter. -- 1977–1978. 21. Tour Expenses. -- 1977. 22. Spring Tour. -- 1977–1978. 23. Chorale Tour. -- 1977–1978. 24. Church Ministries. -- 1978–1979. 25. Deputation Transparencies. -- 1979–1980. 27. Deputation (Dirks). -- 1979–1980. 28. Church Ministries. -- 1979–1987. 29. Lists of Choir Groups. -- 1983–1984. 30. Spring Choir Tours. -- 1984. 31. Chorale Tour. -- 1984–1985. 33. USA Tour. -- 1981–1982. 34. Church Ministries. -- 1979–1982. 35. Group Ministries. -- 1983–1984. 36. Chorale Tour. Manna Tour. -- 1983. 37. Bethany Ladies Choir Tour Ministries. -- 1983–1984. 38. Chorale. Winter Ministries. -- 1983–1989. 39. Mime Group. -- 1980–1981. 40. Tour Expenses. -- 1977–1981. 41. Choir Ministries. All Winter and Spring Tour. -- 1985–1986. 42. Spring Choir Ministries. -- 1984–1987. 43. Spring Choir Ministries. -- 1987–1989. 44. Choir Ministries. -- 1987–1989. 45. Spring Tour Masters. -- 1985–1989. 47. Tour General Information and Forms. George A. Dirks. -- 1982–1989. 48. Ambassadors Itinerary Singing and Drama Group. -- 1985–1989. 50. Student Ministries. -- 1990. 51. Ambassadors Tour. -- 1990. 52. Church Maps. Church Locations. -- 1984–1989. 53. Chorale Tour. BC Gloria. -- 1990. 54. Vision Tour. -- 1990. 55. Deputation Requests and Calendars. -- 1990–1991. 56. Spring Tours. -- 1990. 57. California Tour. -- 1990. 58. Spring Tour. -- 1991. 61. Scheduling Coordinator. -- 1986–1991. 62. Spring Tour. Cumulative Records. -- 1991. 64. Spring Tour. -- 1992. 66. Spring Tours. -- 1993. 67. Winter Deputation. -- 1994. 68. Twin River Tours. -- 1995. 69. Spring Tours. -- 1993–1994. 70. Charter/Bus Rentals. -- 1993. 72. Passport Education. BC. -- 1990–2000. 76. BC Chorale Tour. -- 1992. 1. Diplomas and certificates (blank). -- n.d.
2. Extension Course. List of students paid. -- n.d.
3. Correspondence Course Applications. Correspondence. -- 1941–1943. 4. Time Tables. -- 1944–1959. 5. Correspondence School Material (High School Division). Correspondence. -- 1946–1948. 6. Registration Sheet. -- 1962. 7. Christian Writers’ Institute. Correspondence and Feedback. -- 1968–1969. 9. Aviation. Land Titles. -- 1971–1984. 10. Writers’ Institute. Correspondence. -- 1971–1972. 11. Correspondence Courses (Fort Wayne Bible College). Correspondence. -- 1972. 12. Special Lecture Series. Correspondence and Feedback. -- 1973–1974. 13. Special Lecture Series. Correspondence and Timetables. -- 1974–1975. 14. Christian Educators Conference. Material and Financial Report. -- 1976–1977. 15. Extension Course Enrollment and Registration Forms. -- 1978. 16. Extension Courses. Correspondence and Programs. -- 1977–1979. 17. Pentateuch final exam and objectives of courses. -- 1976–1977. 18. Course Material. Mid-term exams and Syllabi. -- 1977. 19. Music Registration. Lists of students. -- 1979–1980. 20. Lecture series (Baerg and Martens). Correspondence, Lecture Notes, and Exam Answer Key. -- 1979–1980. 21. Academic Calendars. -- 1980–1982. 22. Pi Alpha Mu Honour Society (ACBC). List of award recipients. -- 1980–1984. 23. Canadian Scholarship Trust. Correspondence. -- 1988–1990. 24. “Al’s Self-Study.” Charts, Manuals, and Reports. -- 1981. 25. Chapel Arrangements. Correspondence. -- 1981–1984. 26. Calendar Letters. -- 1981–1982. 27. Correspondence and textbook list. -- 1982. 28. Henry and Anne Peters & Lavonne Willems Memorial Scholarship information. -- 1982–1984. 30. Chapel Schedules and Correspondence. -- 1983–1986. 31. Faculty Workload. Lists. -- 1984–1985. 32. Registration Forms. -- 1981–1982. 33. Pre-Registration Form (Semester one). -- 1982–1983. 34. Time Table. Fall/Spring Semester. -- 1983–1984. 35. Registration Forms. Semester 1 and 2. -- 1982–1984. 36. Faculty Workload. Lists. -- 1980–1984. 37. Textbook List. First and Second Semester. -- 1983–1984. 38. Alberta Heritage Scholarship Fund. Correspondence. -- 1983–1986. 39. List of student bursaries and “Scholarship and Grant Program for BBI” booklet. -- 1984–1997. 40. Alberta Heritage Scholarship. -- 1983–1990. 41. Student evaluation forms (blank). -- 1985. 42. Bridge City Airways/Battleford’s Airways. Correspondence and lists of students. -- 1984. 43. Saskatoon Flying Service. Correspondence. -- 1984–1988. 44. Registration Form Master. Semester 1 and 2. -- 1984–1985. 45. Bursary Application. Correspondence and Saskatchewan Heritage booklet. -- 1985. 46. Bursary Application. Memos. -- 1986–1988. 47. Textbook list. Fall and Spring semester. -- 1985–1986. 48. Faculty Workload. Lists. -- 1985–1986. 49. Saskatoon Flying Service. Correspondence. -- 1986. 50. Bursary Application Forms and Memorandum. -- 1985–1986. 51. Saskatoon Flying Service. Correspondence. -- 1986–1987. 52. Faculty Workload. Lists. -- 1986–1987. 53. Textbook List. Spring and Fall Semester. -- 1986–1987. 54. Registration Form Master. -- 1984–1986. 55. Registration Form Master and Summary of Student Marks. -- 1986–1987. 56. Textbook list. Spring semester. -- 1987–1988. 57. Registration and Pre-Registration Forms. -- 1987–1989. 58. Faculty Workload. Lists. -- 1997–1998. 59. Aviation Letter. Correspondence. -- 1989. 60. Night Classes. Correspondence and lists of churches. -- 1989. 61. Bursaries. Correspondence and lists of awarded students. -- 1989–1999. 62. Faculty Workload. Chart of Teaching Hours. -- 1990–1991. 63. Walk thru the Bible. List of student names. -- 1991. 64. List of student bursaries. -- 1990. 65. Faculty Summer Employment. Policy and Reports of Staff Members. -- 1993. 66. List of student bursaries and bursary application forms. -- 1992. 67. Registration Adjustment Form. -- 1993. 68. Faculty Summer Employment. Policy and Reports of Staff Members. -- 1993. 69. Chapel Schedules and Correspondence. -- 1993–1994. 70. Faculty Workload. Memo and lists. -- 1994. 71. Commencement Program and Schedule of End-of-year Events. -- 1994. 72. Faculty Workload. Reports and Faculty Planning Meeting Minutes. -- 1995. 73. Faculty Workload. Lists and Salary Grid proposal. -- 1996–1997. 74. Faculty Workload. Memo and lists. -- 1995–1996. 75. Faculty Workload. List. -- 1987–1988. 76. Audrey Andres Scholarship. Funeral program, life story, and scholarship details. -- 1999. 77. Faculty Workload. List of Courses Faculty Teach. -- 1999–2000. 78. Faculty Workload. Lists of Faculty Course Load. -- 1998–2000. 79. Bursary and Scholarship Student Application Forms. -- 2001. 80. Faculty Workload. Individual Faculty lists. -- 2001–2002. 81. Planning History (Goals). -- 1955–1999. 82. Administrative Planning Document and Assessment Summary for 2006–2007. -- 2007–2009. 83. Institutional Planning Document and other strategic planning documents. -- 1998. 84. Leadership Team Meeting Minutes. -- 2008–2010. 85. Leadership Team Meeting Minutes. -- 2010–2013. 86. Leadership Team Meeting Minutes. -- 2013–2015. 87. Academic Committee Meeting Minutes (restricted: some sensitive material). -- 2002–2006. 1. Academic Committee Meeting Minutes (restricted: some sensitive material). -- 2006–2013. 2. Faculty Committee Meeting Minutes. -- 2002–2007. 3. Faculty Committee Meeting Minutes. -- 2007–2011. 4. Faculty Committee Meeting Minutes. -- 2011–2015. 5. CS Supervisor Evaluations. -- 1999. 6. Bethany College Administrative Policy Manual. -- 2013. 7. Bethany College Administrative Policy Manual. -- 2006. 8. Policy Admin Manual. -- 1999. 9. Policy Manual. -- 1994. 10. Capital Bethany Place. Meeting Minutes, Reports, and Sketches. -- 1990–1999. 11. Board Motions. Orientation Manual, Job Description, and list of Board Motions. -- 1987–2003. 12. Bethany College Board Reports. -- 2002–2003. 13. Policy Manual. Bethany Bible Institute. -- 1994. 14. Bethany Bible Institute Policy. -- 1985–1988. 15. Bethany College Board Reports. -- 2003. 16. Board of Directors Reports. -- 2004. 17. Bethany College Board Meeting Agenda and Reports. -- 2002–2003. 18. Bethany College Board Reports. -- 2004–2005. 19. Bethany College Board Reports. -- 2005–2006. 20. Bethany College Board Reports. -- 2006–2007. 21. Bethany College Board Reports. -- 2007–2008. 22. Bethany College Board Reports. -- 2008–2009. 23. Bethany College Board Reports. -- 2009–2010. 24. Bethany College Board Reports. -- 2010–2011. 25. Bethany College Board Reports. -- 2011–2012. 26. Bethany College Board Reports. -- 2012–2013. 27. Bethany College Board Reports. -- 2013–2014. 28. Bethany College Board Reports. -- 2014–2015. 29. Bethany College Board Meeting Minutes. -- 2002–2015. 30. Policy Manual. Bethany Place Sound and Lightening Equip. -- 1997–2003. 1. Needs Assessment. Research Results. -- 1994. 2. Self-Study. Meeting Minutes, Survey Results, and Correspondence. -- 1996–1997. 3. Degree Charter. Correspondence and Articles. -- 1989–1991. 4. AABC Publications. Articles and Pamphlets. -- 1997–1998. 5. Self-Study. Student Survey. -- 1997. 6. Bethany Bible Institute. Memo, Correspondence, and Annual Report. -- 1998–1999. 7. AABC Team Visit. Correspondence and Presentation. -- 1999. 8. Substantive Change. Forms, Report, and Curriculum Booklet. -- 1999. 9. Bethany College Promotional Info/Maps. -- 1999. 10. AABC Evaluation Team Report. Reports and Correspondence. -- 1999–2000. 11. AABC Self-Study. First draft documents. Reports. -- 1997–1998. 12. Self-Study Correspondence. Meeting minutes and correspondence. -- 1998. 13. Self-Study Surveys and Survey Results. -- 1997. 14. AABC Self-Study. Surveys, Meeting minutes, and correspondence. -- 1996–1997. 15. AABC Correspondence/Info and Reports. -- 1996–2000. 16. Annual Reports (AABC). Reports. -- 1996–1998. 17. AABC Annual Reports and Correspondence. -- 1997–1998. 18. AABC Annual Reports. Progress Report. -- 1996. 19. AABC Chapel Presentation. Documents. -- 1995–1998. 20. AABC Annual Meeting. Reports and Promotional Material. -- 1999–2000. 21. AABC Convention. Notes and Pamphlets. -- 1999. 22. AABC 1998 Annual Convention. Correspondence and Meeting Minutes. -- 1998. 23. AABC Annual Meeting (Fort Mills, S.C.) Correspondence and Booklet. -- 1996. 24. AABC Consultation. Meeting minutes and “Criteria for Accreditation.” -- 1996. 25. AABC 1995 Application for Readmission to Candidate Status. Application, Reports, and Correspondence. -- 1994–1996. 26. Accreditation. Survey and Reports. -- 1994–1995. 27. Accreditation. Correspondence. -- 1991–1994. 28. AABC (Les Biggs’ work and background stats). Survey and Correspondence. -- n.d.
29. AABC Reports and Pamphlets. -- 1992–1993. 30. Accreditation Report. Faculty Resources. Meeting Minutes and Report. -- 1985. 31. AABC Accreditation Study (and C.S. manual) -- n.d.
32. Student outcomes. Articles. -- 1990. 33. Student Survey (Accreditation: Faculty and student survey). -- 1994. 35. AABC Team Visit. -- 1978–1982. 36. Evaluation Correspondence for Accreditation. -- 1978–1979. 37. Response to Team Visit. -- 1983–1984. 38. Self-Evaluation and Supplement. -- 1981–1982. 1. Progress Reports. -- 1983–1984. 2. Long Range Planning Session. -- 1993–1994. 3. AABC Self-Study Text. -- 1985. 4. Institutional Self-Report. -- 1998. 5. Accreditation documentation. -- 1976–2000. 8. ABHE Reports. -- 2013. 9. Final Exam Marks. -- 1974–1975. 10. Final Marks. -- 1973–1974. 11. First Semester Final Marks. -- 1973–1974. 13. Final exam marks. -- 1971–1972. 14. Final Marks. -- 1970–1971. 15. Final Marks. -- 1969–1970. 16. Final Marks. -- 1968–1969. 17. Final Marks. -- 1967–1968. 2. Final Marks. -- 1964–1965. 3. Final marks. -- 1963–1964. 4. Bible Knowledge Entrance Test Marks. -- 1963–1965. 5. Otis Self-Administering Tests of Mental Ability (Blank). -- [1950?]. 6. Otis Self-Administering Tests of Mental Ability (Blank). -- n.d.
7. Otis Self-Administering Tests of Mental Ability (Blank). -- n.d.
8. High School Division. Correspondence. -- 1947–1955. 9. Records of Marks. -- 1948–1949. 10. High School Credits/Marks. Correspondence. -- 1946–1956. 11. High School Applications. -- 1953–1956. 12. Credit Transcript. -- 1947–1958. 13. Gratis Work and Marks. -- 1946–1949. 15. Correspondence with Prospective Students. -- 1939. 16. High School Accounts. -- 1954. 17. Students Newspaper. “The Keyhole.” Vol.3, No. 1. April - June. -- 1954. 18. High School Inquiries. -- 1947–1955. 19. Credits of Special Students. -- 1934–1935. 20. High School Marks. -- 1948–1953. 21. Correspondence. Student inquiries. -- 1948–1955. 22. High School Application Forms. -- 1953–1954. 23. Student Records. Last Name. “A.” -- 1952–1953. 24. Student Records. Last Name. “B.” -- 1934–1953. 25. Student Records. Last Name. “C.” -- 1941–1952. 26. Student Records. Last Name. “D.” -- 1934–1953. 27. Student Records. Last Name. “E.” -- 1931–1952. 28. Student Records. Last Name. “F.” -- 1931–1953. 29. Student Records. Last Name. “G.” -- 1934–1953. 30. Student Records. Last Name. “H.” -- 1929–1953. 31. Student Records. Last Name. “J.” -- 1934–1952. 32. Student Records. Last Name. “I.” -- 1934–1953. 33. Student Records. Last Name. “K.” -- 1933–1953. 34. Student Records. Last Name. “L.” -- 1933–1953. 35. Student Records. Last Name. “M.” -- 1934–1953. 36. Student Records. Last Name. “N.” -- 1933–1953. 37. Student Records. Last Name. “P.” -- 1941–1952. 38. Student Records. Last Name. “Q.” -- 1937–1953. 39. Student Records. Last Name. “R.” -- 1934–1953. 40. Student Records. Last Name. “S.” -- 1936–1953. 41. Student Records. Last Name. “T.” -- 1934–1953. 42. Student Records. Last Name. “U.” -- 1934–1952. 43. Student Records. Last Name. “V.” -- 1952–1951. 44. Student Records. Last Name. “W.” -- 1934–1953. 45. Student Records. -- 1936–1957. 2. Correspondence. George W. Peters. -- 1936–1938. 3 Receipts for Bible, School purchase, books and supplies. -- 1936–1940. 4. Miscellaneous Student Records re. Credit. -- 1929–1957. 5. Diplomas (Jake Dyck and Johann Harder). -- 1963–1964. 6. Faculty Minutes and Graduates. -- 1944–1970. 7. Chapel Speakers. Diary. -- 1959–1967. 8. Student Foreign Missions Fellowship. Journal. -- 1943–1954. 9. Student marks and registration. -- 1937–1938. 10. Student lists and marks. -- 1947–1955. 11. Record of all instructors and students. -- 1927–1997. 12. Academic records (Student marks). -- 1945–1955. 13. Registration and student marks. -- 1952–1961. 14. BBI Academic Records. Marks. -- 1958–1964. 15. Ledger. Students Marks. -- 1967–1970. 16. Ledger. Students Marks. -- 1969–1970. 17. Student marks. -- 1965–1970. 18. BBI Marks. -- 1963–1966. 19. Financial Records and Student Marks. -- 1935–1952. 20. Financial Records and Student Marks. -- 1927–1939. 21. Registration and student marks. -- 1941–1942. 1. List of Coaldale Bible School (Morgenstern) Alumni (1929–1965). -- n.d.
2. Bethany Alumni Committee Meeting Minutes and Correspondence. -- 1991–2004. 3. List of Herbert Bible School Alumni. -- 1913–1957. 4. Lists of Bethany Alumni (A-G). -- 1927–[200-?]. 5. Lists of Bethany Alumni (H-P). -- 1927–[200-?]. 6. Lists of Bethany Alumni (Q-Z). -- 1927–[200-?]. 7. Alumni Missionaries of Bethany, Coaldale, and Herbert Bible Schools (A-E). -- 2002–2007. 8. Alumni Missionaries of Bethany, Coaldale, and Herbert Bible Schools (F-L) Biographies. -- 2002–2007. 9. Alumni Missionaries of Bethany, Coaldale, and Herbert Bible School (M-S) Biographies. -- 2002–2007. 10. Alumni Missionaries of Bethany, Coaldale, and Herbert Bible School (T-Y) Biographies. -- 2002–2007. 11. Alumni Committee Meeting Minutes, Expenses, and Newsletters. -- 1998–2003. 12. Instructions for Nurse. – 1988–1990. 13. Library Committee. Job Description and Memo. – 1989–1991. 14. BBI Chapel. Record of Speakers, Topics, and Scripture Readings. -- 1981–1982. 15. Bethany Bible Institute. Diary of Happening kept by Irene Mielke (?). -- 1968–1969. 16. Job Descriptions. Various positions. -- 1987. 17. Assistant Dean Application. Form and Job Description. -- 1995. 18. Stewardship Development Director. Job Description. -- 1994. 19. Diary of Bethany Bible Institute. Chapel and other goings-on. -- 1967–1968. 20. Record of Chapel speakers. -- 1971–1972. 21. Impact Handouts (Camp Evaluation/Team Instruction). -- 1997–1998. 22. Impact ’93. -- 1993–1998. 23. Summer Impact ’93. Correspondence. -- 1993. 24. Impact ’95. Meeting Minutes and Media. -- 1995–1996. 25. AABC Self-Study (Appendices). Parts 1–3. -- 2004. 26. Library Committee. Updates/Reports and Meeting Minutes. -- 1982–2006. 27. Academic Manual/Library Handbook and Bethany College Cookbook. -- 2002–2015. 29. Correspondence re: fire hazards. -- 1952–1960. 30. Building plan, etc. Correspondence and Meeting minutes. -- 1968–1970. 31. Building blueprints and correspondence. -- 1973–1979. 32. Local Initiatives Program form. -- 1973–1974. 33. Building Commission Meeting Minutes. -- 1981–1983. 34. Construction Cost Projection chiefly concerning Ladies’ Residence. Correspondence and costs. -- 1982–1984. 35. Campus Development. Meeting Minutes, Correspondence, and “Master Plan.” -- 1987–1988. 36. Building and Grounds Commission Minutes. -- 1984. 37. Building and Grounds. Proposed Projects, Itinerary, and Comments. -- 1989. 1. Finance/Building and Grounds Commission. Meeting Minutes. -- 1990. 2. Campus Development. Correspondence, Notices, Lists of projects, Building plans. -- 1983–1992. 3. Gym Measurements. -- 1983–1984. 4. Dave Penner house. Supply prices. -- n.d.
5. Boys Dorm. Bills and correspondence. -- 1979. 6. Chapel Roof. Correspondence. -- 1962–1981. 7. Chapel re-roofing. -- 1984. 8. Gym. Correspondence. -- 1983. 9. Dormitory Extension Plans. -- n.d.
10. Building Propaganda. Boy’s Dorm and Gymnasium. -- 1979. 11. Turhan Okeren (Architect). Correspondence re: quotes on Ladies’ residence. -- 1983. 12. Proposed New Ladies Residence. Correspondence and Plans. -- 1981–1983. 13.Ladies Residence Plumbing and Heating Concerns. -- 1977–1983. 14. Ladies Residence. Benefits/Dividends and Submitted Drawings. -- 1983. 15. Campus Extension Plans. -- n.d.
16. Bethany Kitchen. Drawing. -- n.d.
17. Correspondence re: Dorm Project. -- 1968. 18. TAB Demolition. Correspondence and Memo. -- 1994. 19. Signage and map of campus. -- 1993. 20. Original dates of building at Bethany. -- 1981. 21. Wish list and project list. -- 1979–1983. 22. Landscaping. Map of campus and letter from Dept. of Agriculture. -- 1962. 23. Campus Maps. -- 1993. 24. Recommendations re: Energy Conservation in Building. -- n.d.
25. “Name the Buildings at BBI” sheet. -- n.d.
26. Ladies Residence Plans and Blueprints. -- 1983. 27. Ladies Residence Plans and Blueprints. -- 1983. 28. Plumbing. Correspondence. -- 1957–1964. 29. Building and Lumber Supplies. Correspondence. -- 1958–1959. 30. AIM Steel Ltd. And Dominion Bridge Co. Correspondence. -- 1960. 31. Loewen’s Cabinets. Correspondence. -- 1961. 32. Plumbing. Correspondence. -- 1961. 33. Saskatoon Boiler Manufacturing Co. Correspondence. -- 1960. 34. Harder’s Enterprises. Hardware. Correspondence. -- n.d.
35. Stanley Brock, Ltd. Correspondence. -- 1961. 36. Various companies (heating and hardware). Correspondence and pamphlet. -- 1959–1962. 37. Building Fund Accounts payable. Correspondence. -- 1960. 38. Monarch Machinery. Correspondence and Instructions. -- 1962. 39. Prairie Water Installations, Ltd. Correspondence. -- 1963. 40. Roto-matic Co. Ltd. Correspondence. -- 1961–1964. 41. J.H. Enterprises, Ltd. Correspondence. -- 1964. 42. Building invoices paid. -- 1972. 43. Orders. Correspondence with various companies. -- 1972–1973. 44. Correspondence re: Building Repairs, etc. -- 1974–1976. 45. Building Correspondence and Blueprint. -- 1972. 46. Correspondence re: building repairs, etc. -- 1982–1984. 47. Correspondence re: Boiler. -- 1983–1984. 48. Maintenance Work Report. -- 1986. 49. Correspondence re: Building and Grounds. -- 1988–1989. 50. Business Manager (Capital/Repairs). Reports on repairs to buildings. -- 1986–1988. 51. Correspondence with various drapery shops. -- 1990. 52. Repairs, maintenance, etc. re: Randy Schellenberg. Correspondence. -- 1992–1995. 53. East Court fire (1995). Correspondence. -- 1996–1997. 54. Presidential Installation for James Nikkel and list of pastors. -- 1991. 55. Commencement Services. Correspondence and Programs. -- 1982–1993. 56. President Search. Correspondence. -- 1990–1991. 57. Opening Sunday. Correspondence and Notes. -- 1985–1990. 58. Opening Weekend. Schedules and Notes. -- 1987–1989. 59. Opening Program. Correspondence, Notes, and Programs. -- 1992–1994. 60. Jubilee Aug 5-7 Accommodations. Correspondence. -- 1977. 61. Jubilee Choir. Correspondence and list of choir members. -- 1977. 62. Jubilee Book. Correspondence and Questionnaire. -- 1974. 63. Jubilee. Correspondence and Pictures. -- 1927–1977 (pictures are from 1927?). 64. Jubilee. Correspondence. -- 1976. 65. Jubilee Celebrations. Correspondence and Plans. -- 1975–1977. 66. Board/Faculty members coming to Jubilee. Forms and list of board members. -- 1977. 67. Bethany’s 60th Anniversary Booklet Master. -- 1987. 68. Jubilee Committee. Correspondence. -- 1977. 69. 75th Anniversary Reunions. Meeting Minutes, Schedule and List of Tasks. -- 2002. 70. Devotional book (75th Anniversary). Editing guidelines, article, and list of faculty. -- 2002. 71. Radio broadcasts (CJDV, CKSW, CJNB). -- 1966–1972. 72. Radio programs. Set lists. -- 1952–1954. 73. CHAB Moose Jaw. Correspondence. -- 1960. 74. CFQC Correspondence. -- 1953–1960. 75. Gospel Echoes. Correspondence and Meditation. -- 1958. 76. CKOM (Correspondence and Payment Slips). -- 1953–1957. 77. CKBI Correspondence and Invoices. -- 1954–1959. 78. Broadcasting. Correspondence with CKBI. -- 1952–1958. 79. Radio Broadcasts. Correspondence. -- 1965–1968. 80. Bethany’s Radio Ministry. Visioning Statements. -- n.d.
81. In memoriam of Mr. and Mrs. Henry Peters. Cards. -- 1983–1984. 82. Bethany Bible Institute Radio Broadcast Material. Scripts and Program Notes. -- 1964–1968. 83. Radio Broadcasts. Scripts and Program Notes. -- 1968–1974. 84. Fundraising Report. Bethany Place. -- 1992. 85. Pledges (Building fund). List of donors. -- 1958. 86. Fundraising. Ladies’ residence. -- 1982–1983. 87. Building fund. Correspondence and list of payments. -- 1960–1963. 88. Building fund matters. Correspondence. -- 1960–1961. 89. Building pledges. Correspondence. -- 1961–1962. 90. Building fund notices correspondence. -- 1961–1962. 91. Building fund. Correspondence. -- 1961–1962. 92. Building project. Pledge forms. -- 1962. 93. Miscellaneous correspondence. -- 1963–1964. 94. Building response. Correspondence. -- 1968–1969. 95. Building donations and correspondence. -- 1979. 1. Bethany Place building project and miscellaneous. -- 1991–1992. 2. Fundraising. Correspondence, Reports, and Pamphlets. -- 1991–1992. 3. Building Project 1982 Pledges. Lists and correspondence. -- 1982. 4. Project ‘82. Lists. -- 1982. 5. New Girls’ dorm. Response from churches. Correspondence and overhead transparency. -- 1974. 6. Phone-a-thon Spring ‘81. Correspondence, lists, and graphs. -- 1981. 7. Capital Debt Retirement. Reports. -- 1975–1976. 8. James (Nikkel’s) Visits. Reports. -- 1993–1994. 9. Bethany Place Fundraising. Reports and Correspondence. -- 1991–1994. 10. Friends of Bethany Banquets. Promotional material, correspondence, and lists. -- 1982–1983. 11. Friends of Bethany Banquets. Schedule, Program, and Report. -- 1983–1984. 12. Friends of Bethany Banquets. Correspondence and Program. -- 1984–1985. 13. Friends of Bethany Banquets. Report for Dennis Wiens. -- 1987. 14. Friends of Bethany Banquet Guest Book. -- 1983–1984. 15. Friends of Bethany Banquet Guest Book. -- 1983. 16. Friends of Bethany Banquet Guest Book. -- 1983. 17. Vision Banquets. Advertisements, Schedules, and Reports. -- 1991–1992. 18. Vision 92 Planning and Schedule. -- 1992. 19. Fundraising Banquets. Banquet Expenses. -- 1994. 20. Finishing the Course (Bike Fundraiser). Records of Sponsor Pledges. -- 1995. 21. Charter of BBI. Correspondence and Acts to Incorporate BBI. -- 1987–1990. 22. Policies of BBI. Constitution, Policy Manual, and Study Committee Questionnaire. -- [198-]–1998. 23. Governance Structure of Bethany. -- n.d.
24. Bethany Constitution. Correspondence and Constitutions. -- 1970–1983. 25. Proposed Constitution. -- n.d.
26. Constitution Policies. -- 1972–[198-]. 27. BBI By-laws. -- n.d.
28. Brochures about Bethany. -- n.d.
29. “The Institute and its Objectives.” -- n.d.
30. Bethany Mission Statement and Role Today. -- 1986. 31. BBI Constitution. -- 1984–1989. 32. Role of Bethany in the 1970s. -- 1971. 33. ACBC Statement of Faith re: Bethany signing. -- 2002. 34. Degree Granting. Legal bills, reports, and correspondence. -- 1989–1990. 35. BBI Incorporation Act. Correspondence. -- 1989. 36. Vision Discussion and Committee Flow. Charts. -- n.d.
37. Profiles of BBI. Reports. -- 1949–1997. 38. Policy and Curriculum Revisions. -- 1995. 39. University of Saskatchewan Admission and Transfer Credit Practices with respect to Bible Colleges. Correspondence and Report. -- 1996. 40. Proposed Faculty Replacement Process List. -- 1994. 41. Evaluation Process: President, Staff. Reports. -- 1989. 42. BBI Policy Manuals. -- 1988. 43. Policy Manual. -- 1999. 44. Policy Manual Master. -- 1994. 45. BBI Policy Manual. – 1993. 46. Master Policy Manual. -- 1987–1988. 47. Policy Manual. -- 1985. 48. Policy Manual. -- 1984. 49. Academic and Policy Manual. -- 1989–1990. 50. Bookstore Policy and Correspondence. -- n.d.
51. Procedures for Calculating Salaries. -- 1956–1984. 53. Policies Goals. -- 1986–1987. 54. ACBC Directory. Re: Bethany. -- 1992–1998. 55. Arena. RE: BBI. -- 1975–1976. 57. Fire Drill Procedures Manual. -- 1991. 58. Fire Drill Procedures Manual. -- 1992. 59. Publicity; Manual/Other. -- 1989–1991. 60. Policy for Calculating Salaries. -- [1979–1981?]. 61. Village of Hepburn. -- 1994. 62. Student Academic Manuals. -- 1992–2004. 63. Master Student Handbook. -- 1985–1986. 64. Student Handbook Master. -- n.d.
65. BBI Student Handbook. Draft Copy Master. -- 1985. 66. Master Student Handbook. -- 1988. 67. Student Handbook. -- [196-?]. 68. Student Handbook. -- [198-?]. 1. Student Ministries Handbook Master. -- 1988–1989. 2. Student Ministries Handbook Master. -- 1989–1990. 3. Student Ministries Handbook Master. -- 1990–1991. 4. Student Ministries Handbook Master. -- 1991–1992. 5. Student Ministries Handbook Master. -- 1992–1993. 6. Student Ministry. -- 1996. 7. Christina Service Handbook Masters. -- 1987–1988. 8. Christina Service Handbook. -- 1986–1987. 9. Student Handbook. -- 1989. 10. Student Life Handbook. -- 1992. 11. Master Student Life Handbook. -- 1993–1994. 12. Student Life Handbook. -- 2000–2001. 13. Student Development Department Policy Manual. -- 1989–1990. 15. Policy Procedures Manual. -- 1988. 16. Library Policy. -- n.d.
17. Bethany Objectives in the Bible and Christian Education Program and Music Program. -- n.d.
18. BBI Emphasis on Evangelism. -- n.d.
19. Commitment Study Hours, etc. -- 1985–1986. 20. Master - Philosophy, Goals, Objective and Purpose - Bethany. -- n.d.
21. Master of 5 Year Plan. -- [198-?]. 22. Strategic Planning. -- 1981–1997. 23. Goals of Academic Program. -- 1972. 24. Path of Academic Excellence of Bethany. -- [197-?]. 25. Philosophy of Education. -- 1984. 26. Other Projections. -- 1972–1975. 27. Observations and Recommendations. Re: BBI. -- [197-?]. 28. Bethany Bible Institute Study Project. -- [197-?]. 30. Study Projects. -- 1969–1971. 31. Group Vision Study. -- 1996. 32. Pastor’s Insights Survey. -- 1991–1992. 33. Needs Assessments. -- 1994. 34. Workshops and Study Papers re: Bible School. -- 1972. 35. Study Papers: “Toward a Corrective Philosophy,” Baerg; “Rock of Ages,” “Rock Music Culture,” Barkman; “To Exorcise or not to Exorcise,” B. Doerksen. -- 1988–1991. 36. Biblical Manhood Seminar. Correspondence. -- 1992–1993. 37. James Nikkel Seminars and Messages. -- 1993–1995. 38. James Nikkel Notes (Masters). -- 1993–1995. 39. Brief on the future of Hepburn from B.B.I. -- 1989. 40. Directors -- Correspondence. -- 1946–1960. 41. Animal Husbandry. B.B.I. -- 1961–1964. 42. Legal Documents. Correspondence. -- 1952–1988. 43. Mennonite Trust Ltd. (Waldheim). Correspondence and Last Will and Testament. -- 1960–1983. 44. Legal Info. Documents. -- 1974. 45. Certification of an educational institute. -- 1974. 46. Water Analysis. Documents. -- n.d.
47. Mennonite Trust Ltd. Payment Notices. -- 1986–1987. 48. Canadian Imperial Bank of Commerce. Correspondence and Legal Bill. -- 1992. 49. Mennonite Trust Ltd. Requisitions for Payment. -- 1987–1988. 50. Mennonite Trust Ltd. Requisitions for Payment. -- 1988–1989. 51. Paper: “A Review of Private Schooling in Saskatchewan,” Gordon Dirks. -- 1987. 52. Saskatoon Ministerial. Evangelical Ministers Fellowship. – 1992. 53. Funds, Land, etc. Saskatchewan Farm Ownership Act. -- 1983. 54. Historical Records Meeting (J.B. Toews). -- 1973. 55. B.B.I. History. Correspondence. -- 1973–1985. 56. Insurance, Property, etc. Insurance Proposal. -- 1983–1985. 57. Book on Bethany’s History (Proclaim Jubilee by Margaret Epp). Correspondence. -- 1973–1976. 58. Mennonite Encyclopedia. Articles. -- 1955. 59. Mennonite Encyclopedia. Correspondence (English and German). -- 1949–1955. 60. Book Orders. Correspondence and Invoices. -- 1951–1953. 61. Music Student Registration. -- 1958. 62. Student List and List of Classes. -- 1962–1963. 63. Student List. -- 1963–1965. 64. Student List. -- 1969–1970. 65. Junior Applications. Lists. -- 1974. 66. Senior Applications. Lists. -- 1974. 67. Student Lists. -- 1974–1975. 68. Freshman Applications. Lists. -- 1974. 69. Bethany Bible Institute. Student Directory. -- 1977–1978. 70. Freshmen, Juniors, and Seniors. Class Lists. -- 1980–1981. 71. Juniors and Seniors. Class Lists. -- 1981–1982. 72. Class Lists. Freshmen, Juniors, and Seniors. -- 1982–1983. 73. Master Class Lists. Freshmen, Juniors, and Seniors. -- 1983–1984. 74. Master Class Lists. -- 1984–1985. 75. Master Class Lists. -- 1985–1986. 76. List of Enrollment. -- 1985–1986. 77. Class Lists. -- 1985–1986. 78. Master Class Lists. -- 1986–1987. 79. Master Class List. -- 1987–1988. 80. Master Class Lists. -- 1988–1989. 81. Student Lists. -- 1990–1991. 82. Student Lists. -- 1991–1993. 83. Miscellaneous Student Lists. -- n.d.
84. Application Info. -- 1984–1991. 85. Lists of Student G.P.A. (3.40 and over). -- 1993–2001. 86. Ontario Students. Correspondence and Lists. -- 1987–1997. 87. Manitoba Students. -- 1989–1997. 88. Academic Forms. Masters. -- 2000. 89. Student Lists. -- 1998–1999. 90. Student Lists (Females). -- 1996. 91. Master Class Lists. -- 1995. 92. Student List (and Class Photo). -- 1999–2000. 93. Class List. -- 1994–1996. 94. Class Lists. -- 1993. 95. Student Lists. -- 1991–1992. 96. Master Class Lists. -- 1991. 97. Class Lists/Masters. -- 1990–1991. 98. Master Class Lists (and Student Survey). -- 1989–1990. 99. Class Lists. -- 1982–1990. 100. Enrollment Statistics. -- 1962–1983. 101. Enrollment Statistics. Summary/Classes. -- 1963–1975. 102. Class Lists. -- 1975–1981. 103. Graduation Picture Directories. -- 1933–1993. 104. Enrollment Patterns. Graphs and Charts. -- 1981–1991. 105. Enrollment Comparison Update and list of Bethany Chorale members. -- 1986–1987. 106. Statistics. Charts and Lists. -- 1977–1983. 107. Stats Master. -- 1984–1988. 108. Statistics Charts. -- 1984. 109. B.B.I. Total Applications. -- 1974. 110. Circulars (Statistics). -- 1958–1959. 111. Dominion Bureau of Statistics. Statistics and Correspondence. -- 1957–1958. 1. Statistical Reports. -- 1962–1965. 2. Statistics (Comparisons). Room and Board and Tuition Fees. -- 1979–1993. 3. Graph of Student Enrollment. -- 1960–1969. 4. Statistics and “Facts about Bethany.” -- 1978–1983. 5. Service Awards (Staff). -- 1983–1989. 6. Tour Summaries: Speakers (Cumulative Record). -- 1978–1990. 7. Enrollment Stats. -- 1997. 8. 111 Pentateuch. Syllabi, quizzes, and exams. -- 1977–1986. 9. 112 Joshua – Esther. Syllabi, quizzes, midterms, and exams. -- 1977–1987. 10. 113 Life of Christ. Syllabi, quizzes, midterms, and exams. -- 1975–1988. 11. 114 Pauline Epistles. Syllabi, quizzes, midterms, and exams. -- 1977–1987. 12. 115 Acts. Syllabi, quizzes, midterms, and exams. -- 1975–1988. 13. 116 John. Syllabi, quizzes, midterms, and exams. -- 1977–1987. 14. 121 Bible Doctrine. Syllabi, midterms, and exams. -- 1977–1987. 15. 123 General Biblical Introduction. Syllabi, midterms, and exams. -- 1977–1980. 16. 124 Gen. Bible Intro. Syllabi, quizzes, midterms, and exams. -- 1978–1987. 17. 131 Great Missionaries. Syllabi, and exams. -- 1977–1980. 18. 141 Devotional Life. Syllabi. -- 1971–1978. 19. 141 Bible Backgrounds. Syllabi, quizzes, midterms, and exams. -- 1987–1988. 20. 143 Inductive Bible Story. Syllabi and exams. -- 1987–1988. 21. 144 Personal Evangelism. Syllabi and exams. -- 1977–1978. 22. 145 Women Only. Part of Principles of Personal Growth. Syllabi. -- 1985–1986. 23. 145 Men Only. Principles of Personal Growth. Syllabi. -- 1986–1987. 24. 145 Principal of Personal Growth. Syllabi and exam. -- 1970–1983. 25. 145 Principal of Personal Growth. Syllabi and exam. -- 1982–1987. 26. 146 MB Contemporary Cults. Syllabi, quizzes, midterms, and exams. -- 1977–1987. 27. 147 Biblical Mar Pr. Syllabi, midterms, and exams. -- 1977–1986. 28. 242 Ethics. Syllabi, midterms, and exams. -- 1979–1987. 29. 151 Christian Education Youth. Syllabi, midterms, and exams. -- 1970–1978. 30. 152 Effective Teaching. Syllabus. -- 1987–1988. 31. 152 DVBS and Camping. Syllabi and exams. -- 1970–1979. 32. 154 Public Speaking. Syllabus and exam. -- 1975–1979. 33. 156 Human Development. Syllabi, midterms, and exams. -- 1979–1987. 34. 161 Introduction to Music. Syllabi, midterms, and exams. -- 1978–1988. 35. 162 Notation Theory. Syllabi, quizzes, midterms, and exams. -- 1978–1987. 36. 163 Music History. Syllabi and exams.--1980–1984. 37. 163 Music Appreciation. Syllabi and exams.-- 1977–1978. 38. 182 Physical Education. Syllabi and exams.-- 1982–1990. 39. 185 Recreational Leadership. Syllabi and exams.--1977–1987. 40. 191 Voice. Syllabi and exams.--1978–1987. 41. 211Poetical Books. Syllabi, midterms, and exams. -- 1978–1987. 42. 212 Minor Prophets. Syllabi, midterms, and exams. -- 1978–1987. 43. 214 Pastoral Epistles. Syllabi, midterm, and exams. -- 1977–1978. 44. 215 Romans. Syllabi, midterms, and exams. -- 1977–1987. 45. 216 I and II Corinthians. Syllabi, quizzes, midterms, and exams. -- 1978–1988. 46. 217 Psalms. Syllabi and exams.--1975–1977. 47. 218 General Epistles. Syllabi, quizzes, midterms, and exams. -- 1976–1988. 48. 221 Systematic Theology. Syllabi, quizzes, midterms, and exams. -- 1977–1987. 49. 222 Eschatology. Syllabi, midterm, and exams. -- 1978–1986. 50. 223 Testament Theology. Syllabi, quizzes, midterms, and exams. -- 1975–1988. 51. 224 New Testament Theology. Syllabi and exams.-- 1970–1988. 52. 231 Church History. Syllabi, quizzes, midterms, and exams. -- 1977–1988. 54. 233 History of Biblical. Syllabi, midterm, and exams. -- 1979–1986. 55. 234 Archeology. Syllabi and exams.--1978–1980. 56. 241 Introduction to Psychology. Syllabi, midterm, and exams. -- 1979–1988. 57. 241 Basics of Communications. Syllabus. -- 1978–1979. 58. 243 Anthropology. Syllabi, midterm, and exams. -- 1981–1987. 59. 244 Missionary Principles. Syllabi, midterm, and exams. -- 1970–1987. 60. 246 Survey of Xian Lit. Syllabus and exams. -- 1978–1979. 61. 253 Christian Education Of Child. Syllabi, midterm, and exams. -- 1970–1978. 62. 254 Teaching Methods. Syllabi and exams. -- 1977–1979. 63. 254 Teaching Methods. Syllabi. -- n.d.
64. 256 Educational Principles. Syllabi, midterms, and exams. -- 1979–1987. 65. 261 Conducting. Syllabi and exams. -- 1985–1986. 66. 261 Harmony III. Syllabi. -- 1981–1982. 67. 263 Administration of Church Music. Syllabus. --1986. 69. 272 New Testament Greek. Syllabi, midterms, and exams. -- 1977–1987. 70. 341 Homiletics. Syllabi, midterms, and exams. -- 1977–1987. 71. E312 James the Behaviour of Belief. Syllabus. -- n.d.
72. 313 Isaiah. Syllabi and Exam. -- 1977–1978. 73. 313 Gospel of John. Syllabus and Exam. -- 1987. 74. 314 Major Prophets. Syllabi and Exams. -- 1979–1987. 75. 315 Ephesians/Epistles of John. Syllabi and Exams. -- 1981–1985. 76. 315 1 Peter. Syllabi and Exams. -- 1977–1984. 77. 316 Galatians and Colossians. Syllabi and Exams. -- 1978–1986. 1. 317 Leviticus and Hebrews. Syllabi, Exams, and Quizzes. -- 1977–1988. 2. 318 Revelations. Syllabi and Exams. -- 1977–1988. 3. 319 Major Prophets. Syllabi. -- 1971–1974. 4. 321/322 Systematic Theology. Syllabi and Exams. -- 1978–1987. 5. 325 Anabaptist Theology. Syllabi and Exams. -- 1979–1988. 6. 327 Contemporary Theology. Syllabi and Exams. -- 1978–1987. 7. 331 History of Missions. Syllabi and exams. -- 1978–1987. 8. 332 M.B. Missions. Syllabi and exams. -- 1981–1987. 9. 333 History of the Old Testament Times. Syllabi and exams. -- 1977–1979. 10. 334 History of Christian Thought. Syllabi and exams. -- 1978–1979. 11. 340 Christian Witness in Secular Community. Syllabi and exams. -- 1977–1980. 12. 341 Biblical Language Skills. Syllabus. -- n.d.
13. 344 Missionary Principals and Practices. Syllabi and exams. -- 1978–1979. 14. 345 Comparative Religions. Syllabi and exams. -- 1978–1987. 15. 347/348 Church Evangelism/Church Growth. Syllabi and exams. -- 1978–1987. 16. 351 Christian Education of the Local Church. Syllabi and exams. -- 1978–1987. 17. 354 Church Leadership. Syllabi and exams. -- 1978–1987. 18. 361 Theory and Harmony III (3). Syllabi and exams. -- 1982–1985. 19. 362 Admin Church music. Syllabi and exams. -- 1975–1986. 20. 363 History of Music. Syllabi and Exams. -- 1978–1983. 21. 415 Pastoral Epistles. Syllabus and exam. -- 1987–1988. 22. Sample Syllabi Copies. -- 1984–1985. 23. Syllabi Masters. -- 1980–1981. 24. R.A. Course. Unit Leadership Review, Correspondence, and Responsibilities. -- 1987. 25. Guitar Syllabi. -- 1986–1987. 26. Private Voice. Syllabi. -- 1984–1988. 27. Oratorio Choir. Syllabi. -- 1983–1986. 28. 434 Expressive Arts. Syllabi and exams. -- 1979–1986. 29. 441 Modern Religious Movements. Syllabus and exams. -- 1987–1988. 30. 445 Drama. Syllabi and exams. -- 1977–1979. 31. 465 Oratorio. Syllabus. -- 1987. 32. Copies of current syllabi. -- 1989–1990. 33. Rock Seminar. -- n.d.
34. Recreational Leadership. Syllabus and exams. -- 1994. 35. Dramatic Arts 4420. Syllabus and exam. -- 1993. 36. Student Counseling. Syllabus and student handouts. -- n.d.
37. Following Jesus. Syllabus. -- 1991–1992. 38. 111 Old Testament Survey. Syllabi and exams. -- 1989–1994. 39. 112 New Testament Survey. Syllabi and exams. -- 1988–1995. 40. 113 Life of Christ. Syllabi and exams/quizzes. -- 1988–1995. 41. 114 Pentateuch. Syllabi, exams, and quizzes. -- 1989–1995. 42. 115 Bible Content. Syllabi and exams. -- 1991–1994. 43. 116 Bible Study Skills. Syllabi and exams. -- 1994–1995. 44. 121 Knowing God. Syllabi and exams. -- 1988–1994. 45. 122 Knowing Man. Syllabi and exams. -- 1988–1995. 46. 131 Discipleship and Evangelism. Syllabi and exams. -- 1988–1994. 47. 134, 233, 234 Christian Service. Syllabi. -- 1992–1995. 48. 133 Preparation for Ministry. Syllabi and exam. -- 1990–1992. 49. 141 College orientation and music orientation. Syllabi and exams. -- 1992–1995. 50. 142 The Christian Home. Syllabi and exams. -- 1988–1994. 51. 143/243/343 Phys. Ed. Syllabi and exams. -- 1994–1995. 52. Physical Education. Syllabi and exams. -- 1991–1994. 53. 151 Basics of Music. -- 1989–1994. 54. 211 Poetical Books. Syllabi and exams. -- 1989–1993. 55. 212 Prophets. Syllabi and exams. -- 1988–1995. 56. 213 Pauline Epistles. Syllabi and exams. -- 1988–1994. 57. 214 General Epistles/Revelation. Syllabi and exams. -- 1987–1995. 58. 231 Leadership Development. Syllabi and exams. -- 1988–1994. 59. 236 Principles of Teaching. Syllabi and exams. -- 1988–1994. 60. 241 Missionary Anthropology. Syllabi and exams. -- 1988–1994. 61. 242 Contemporary Issues and Ethics. Syllabi and exams. -- 1988–1995. 62. 244 History of Christianity. Syllabi and exams. -- 1988–1995. 63. 311 Old Testament Studies. Syllabi and exams. -- 1988–1994. 64. 312 New Testament Studies. Syllabi and exams. -- 1988–1995. 65. 321 Anabaptist Distinctive. Syllabi and exams. -- 1989–1995. 66. 331 Missions Development. Syllabi and exams. -- 1988–1994. 67. 332 Group Discernment. Syllabi. -- 1988–1991. 68. 335, 338 Seminars. Syllabi. -- 1988–1994. 69. 435, 436 Residence Assistant. Syllabi, manual, and exams. -- 1988–1995. 1. 437 Communications. Syllabi and exams. -- 1989–1993. 2. 438 Christian Camping. Syllabi and exam. -- 1990–1992. 3. 438 Missionary Principles and Practices. Syllabi and exams. -- 1988–1995. 4. 440 Apologetics. Syllabi and exams. -- 1989–1993. 5. 440 Evidence for Christianity. Syllabi and exams. -- 1992–1995. 6. 440 English Composition. Syllabi. -- 1990. 7. 441 Dramatic Arts. Syllabi and exam. -- 1994. 8. 442 Introduction to Psychology. Syllabi and exams. -- 1988–1995. 9. 443 Recreational Leadership. Syllabi and exams. -- 1990–1994. 10. 443 Communications. Syllabi and exams. -- 1991–1993. 11. 444 Major Religions. Syllabi and exams. -- 1988–1994. 12. 445 Drama Ministry Team. Syllabus. -- 1994. 13. 445, 446 Drama. Syllabi. -- 1988–1989. 14. 449 Survey of Christian Literature. Syllabus and exams. -- 1988–1992. 15. 449 Modern Religious Movements. Syllabi and exams. -- 1988–1995. 16. 453, 454 Oratorio. Syllabus. -- 1988–1995. 17. 455, 456 Ministry Teams. Syllabus. -- 1993. 18. 461 Voice. Syllabi. -- 1989–1995. 19. 461, 461C, 462, 462C Voice. Syllabi and exam. -- 1988–1994. 20. 463, 464 Piano. Syllabi and exam. -- 1987–1992. 21. 465, 466 Guitar. Syllabus and exam. -- 1987. 22. 467, 468 Drums. Syllabus. -- 1990. 23. CM544 Missions Conference Directed Study. Syllabus. -- 1996. 24. GE580 Music Seminar. Syllabus. -- 1996. 25. 333, 336 Field Education. Syllabi. -- 1991–1995. 26. 334 Denominational Study. Syllabi and Final Exams. -- 1988–1995. 27. 342 Contemporary Thinking. Syllabi and exams. -- 1988–1995. 28. 344 Major Religions. Mid-term Exam. -- 1994. 29. 411 History of the English Bible. English Composition Syllabus. -- 1991. 30. 412 Hermeneutics. Syllabi and final exams. -- 1988–1992. 31. 414 Bible Content. Final exams and stats. -- 1990–1992. 32. 432 Worship and Music Leadership Skills. Syllabi. -- 1988–1995. 33. 433 Youth Ministry. Syllabi and Final exam. -- 1989–1993. 34. 434 Expressive Arts. Syllabi and exams. -- 1989–1991. 35. BT100 Bible Survey. Syllabi and exams. -- 1995–1998. 36. BT101 Interpreting and Applying. Syllabi and exams. -- 1998–1999. 37. BT120 Life of Christ. Syllabi and exams. -- 1995–1999. 38. BT130 Knowing God. Syllabus and Exam. -- 1996. 39. BT210 Genesis. Syllabi and exams. -- 1996–1999. 40. BT230 Knowing Humanity. Syllabus. -- 1999. 41. BT330 Anabaptist Distinctive. Syllabi and exams. -- 1996–1998. 42. BT332 Current Issues in Bible/Theology. Syllabus. -- 1999. 43. BT510 Joshua/Judges. Syllabi and exams. -- 1996–1999. 44. BT511 Samuel/Kings. Syllabi and exams. -- 1995–1998. 45. BT512 Psalms/Proverbs. Syllabi, Lectures, and Exams. -- 1995–1999. 46. BT513 Themes from the Major Prophets. Syllabi and exams. -- 1996–1998. 47. BT514 Themes from the Minor Prophets. Syllabus and exam. -- 1997. 48. BT520 Acts/Evangelism in the Early Church. Syllabi and exams. -- 1997–1999. 49. BT521 Romans/Galatians. Syllabi and exams. -- 1995–1998. 50. BT522 Letters from Paul. Syllabus and Final Exam. -- 1995. 51. BT523 General Epistles. Syllabi and Exams. -- 1996–1998. 52. BT524 Apocalyptic Literature. Syllabi and exam. -- 1995–1998. 53. BT526 Ephesians/Colossians. Syllabi and exam. -- 1996–1999. 54. BT528 Philippians/Thessalonians. Syllabus and exam. -- 1999. 55. BT529 Corinthians. Syllabus and exam. -- 1997. 56. BT530 Pastoral Epistles. Syllabus and exam. -- 1999. 57. CM130 Spiritual Formation. Syllabi and exams. -- 1995–1998. 58. CM180/280 Christian Service. Syllabus. -- 1998–1999. 59. CM230 Church Ministries. Syllabi and exams. -- 1995–1999. 60. CM330 Prayer and Renewal. Syllabi and self-evaluation. -- 1996–1999. 61. CM340 Contemporary Mission. Syllabi and exams. -- 1995–1998. 62. CM380/CM381 Field Education. Syllabi. -- 1995–1998. 63. CM510 Understanding Youth Ministry. Syllabi and Final Exams. -- 1994–1998. 64. CM512 Understanding the Youth Worker. Syllabi. -- 1995–1999. 65. CM521 Evidence for Christianity. Syllabi and exams. -- 1995–1998. 66. CM530 Help for the Spiritual Journey. Syllabi and exams. -- 1997–1999. 67. CM531 Leadership Development. Syllabus and exams. -- 1996–1998. 68. CM540 Cross-Cultural Ministry. Syllabi and Final exam. -- 1997–1999. 69. CM543 Senior Class Cross-Cultural Trip. Syllabi, Journal, and Reflection Questions. -- 1995–1999. 70. CM553 Residence Assistant Course. Syllabi. -- 1997. 71. CM560 Worship and Music Leadership. Syllabi and Exams. -- 1996–1999. 72. CM561 Church Music Directions. Syllabi and Exam. -- 1996–1998. 73. CM562, 597, 599 Contemporary Technology. Syllabi and exams. -- 1997–1998. 74. CM564 Electronic Media in the Church. Syllabus and Exam. -- 1999. 75. CM592 Camp Ministry. Syllabi and Exams. -- 1997–1999. 76. CM593 Recreational Leadership. Syllabus and exams. -- 1996–1999. 77. CM597 Contemporary Technology Tutorial. Syllabus and exam. -- 1998. 78. GE100 Introduction to College. Syllabi. -- 1995–1997. 79. GE110 College English. Syllabus and exam. -- 1998. 80. GE150 Interpersonal Relationships. Syllabi and exams. -- 1996–1999. 81. GE160 Music Issues. Syllabi and exams. -- 1995–1998. 82. GE201 History of Christianity. Syllabi and exams. -- 1996–1999. 83. GE220 Contemporary Issues and Ethics. Syllabi and exams. -- 1996–1999. 84. GE501 Introduction to Psychology. Syllabi and exams. -- 1995–1999. 85. GE502 Introduction to Sociology. Syllabi and exams. -- 1995–1998. 86. GE503 Cultural Anthropology. Syllabi and exams. -- 1995–1997. 87. GE511 Understanding the World of Youth. Syllabi and exams. -- 1994–1998. 88. GE522 Contemporary Thought. Syllabi and exams. -- 1996–1998. 89. GE523 The Canadian Church. Syllabus. -- 1995. 90. GE524 Modern Religious Movements. Syllabi and exams. -- 1997–1999. 91. N.T. Greek. Exams. -- n.d.
92. GE530/531 Greek. Exams. -- 1996–1997. 93. GE541 World Religions. Syllabi and exams. -- 1996–1998. 94. GE542 Communications. Syllabi. -- 1995–1998. 95. GE550 Marriage and Family Studies. Syllabi and exams. -- 1996–1999. 96. GE551 Introduction to Peer Helping. Syllabi and exams. -- 1993–1998. 97. GE552 Advanced Peer Helping. Syllabi and exam. -- 1997–1999. 98. GE570 Introduction to Drama. Syllabi. -- 1996–1999. 99. GE571 Dramatic Arts II (2). Syllabus. -- 1997. 100. GE572 Dramatic Arts III (3). Syllabi. -- 1998. 101. GE590/591/592 Phys. Ed. I/II/III (1/2/3). Syllabi and exams. -- 1995–1998. 102. MA563 Oratorio. Syllabi. -- 1995–1997. 103. MA564 Class Voice. Syllabi. -- 1995. 104. MA565/566 Voice. Syllabi. -- 1995–1998. 105. MA575 Theatre Production. Syllabus. -- 1997. 106. MA580 Ministry Teams. Ministry Guide. -- 1995–1996. 107. MA590/MA591 Piano. Syllabi. -- 1997. 108. MA592 Accompanying Tutorial. Syllabus and Exam. -- 1997–1998. 1. The Keyhole. Newsletters. -- 1954–1955. 2. Student Chapels, Reception Committee, and textual record of choir tours (?). -- 1962–1964. 3. Music Committee Minutes. -- 1963–1964. 4. Student Council Special Minutes (Christmas and ISCF). -- 1964–1965. 5. Textual Record of Student Chapels. -- 1964–1965. 6. Minutes of Students’ Council. -- 1965–1966. 7. Music Committee Minutes. -- 1965–1966. 8. Assorted constitutions for committees. -- 1965–1966. 9. Student Council General Minutes. -- 1964–1965. 10. BBI Student Council Minutes. -- 1966–1967. 11. Student Council Minutes. -- 1966–1968. 12. Student Council and Various Committee Meeting Minutes. -- 1968–1973. 13. Student Council Meeting Minutes. -- 1968–1970. 14. Missions Committee Meeting Minutes. -- 1970–1974. 15. Student Council Meeting Minutes. -- 1971–1972. 16. Missions Committee Minutes and Europe Missionary Prayer Group. -- 1964–1973. 17. Student Council Minutes. -- 1972–1973. 18. Student Council Minutes. -- 1973–1974. 19. Student Council Minutes. -- 1974–1975. 20. Student Council Minutes. -- 1975–1976. 21. STUCO Meeting Minutes and Correspondence. -- 1976–1977. 22. Student Council Meeting Minutes. -- 1977–1978. 23. Student Council Meeting Minutes. -- 1978–1979. 24. Student Council Meeting Minutes. -- 1979–1980. 25. STUCO Meeting Minutes. -- 1980–1981. 26. STUCO Meeting Minutes. -- 1981–1982. 27. STUCO Meeting Minutes. -- 1982–1983. 28. Student Council (Yvonne Bartsch). Lists and Meeting Minutes. -- 1983–1984. 29. Student Council Meeting Minutes (Julie Friesen). -- 1984–1985. 30. STUCO Meeting Minutes. -- 1985–1986. 31. STUCO Meeting Minutes. -- 1986–1987. 32. STUCO Correspondence and Budget Report. -- 1993. 33. STUCO Committee Budget Reports. -- 1996–1997. 34. STUCO By-Laws. -- 2004–2013. 35. STUCO Constitution. -- 1994–2011. 36. STUCO Meeting Minutes. -- 2000–2001. 37. STUCO Meeting Minutes. -- 2002–2003. 38. STUCO Meeting Minutes. -- 2003–2004. 39. STUCO and Student Life Meeting Minutes. -- 2004–2005. 40. STUCO and RD/RA Evaluations and Year End Report. -- 2005–2006. 41. STUCO and Student Development Meeting Minutes. -- 2006–2007. 42. STUCO Meeting Minutes. -- 2007–2008. 43. STUCO Meeting Minutes and Summer (2008) according to STUCO. -- 2008–2009. 44. STUCO Executive and Committee Meeting Minutes. -- 2009–2010. 45. STUCO Executive and Committee Meeting Minutes. -- 2010–2011. 46. STUCO Executive and Budget Meeting Minutes. -- 2011–2012. 47. STUCO Meeting Minutes. -- 2012–2013. 48. STUCO Meeting Minutes. -- 2013–2014. 49. STUCO Executive Meeting Minutes. -- 2006–2007. 50. STUCO Exec. Meeting Minutes. -- 2007–2008. 51. STUCO Exec. Meeting Minutes. -- 2008–2009. 52. STUCO Exec. Meeting Minutes. -- 2009–2010. 53. STUCO Exec. Meeting Minutes. -- 2010–2011. 54. STUCO Exec. Minutes. -- 2014–2015. 55. STUCO Meeting Minutes. -- 2014–2015. 56. Student Christian Service. Practical Work Questionnaire. -- 1964–1965. 57. Alumni Record Book. -- 1999–2003. 58. Bethany Events. Programs. -- 1987–2002. 1. Alumni Events. Programs and Posters. -- 1995–2007. 2. 75th Anniversary. Promotional, Reports, and Meeting Minutes. -- 2002. 3. Alumni Obituaries and Funeral Programs. -- 2000–2006. 4. Alumni in the News. Articles. -- 1987–2007. 5. Alumni Files (Peter W. Fast). Pictures and Articles. -- 1958–1994. 6. Promotional Material for Fall Dessert Theatre, “Voyage of the Dawn Treader.” -- 2014. 7. Bethany College Promotional Material. -- 2010–2014. 8. Youth Advance 2014 Promotional Material and Mailing Lists: “Belong to the Truth.” -- 2014. 9. Mailings (Old). Correspondence and Promotional. -- 1995–2009. 10. Photo Gallery Copies. Issues of Contact magazine. -- 1986–2005. 11. Student and Staff Portraits. -- 2009. 12. Grad Pictures. Staff and Students. -- 2009–2010. 13. Grad Pictures. -- 2004–2007. 14. Grad Pictures. -- 2008. 15. Grad Pictures. -- 2009. 16. Grad Pictures. -- 2010–2011. 17. Grad Pictures. -- 2011–2012. 19. Press Releases. – 1998–2009. 20. Student Development (SD) Meeting Minutes. -- 2014–2015. 21. SD Minutes. -- 2013–2014. 22. SD Minutes. -- 2012–2013. 23. SD Minutes. -- 2011–2012. 24. SD Minutes. -- 2010–2011. 25. SD Minutes. -- 2009–2010. 26. SD Minutes. -- 2008–2009. 27. SD Minutes. -- 2007–2008. 28. SD Minutes. -- 2006–2007. 29. SD Minutes. -- 2005–2006. 30. SD Minutes (sensitive information – *Restricted*). -- 2004–2005. 31. SD Minutes (sensitive information – *Restricted*). -- 2003–2004. 32. SD Minutes (sensitive information – *Restricted*). -- 2002–2003. 33. Student Handbooks. -- 1999–2015. 34. STUCO Constitution/By-laws. -- 2003–2013. 35. Student Development Strategic Plan 2010. Final draft. -- 2009–2012. 36. Spring Survey. -- 2014. 37. Fall Survey. -- 2014. 38. Spring Survey. -- 2013. 39. Fall Survey. -- 2013. 40. Fall Survey. -- 2012. 41. Student Survey Spring 2012. -- 2012. 42. Student Survey Fall 2011. -- 2011. 43. Student Survey Spring 2013. -- 2013. 44. Student Survey Fall 2012. -- 2012. 45. Student Survey Spring 2011. -- 2011. 46. Student Survey Fall 2010. -- 2010. 47. Student Survey Spring 2010. -- 2010. 48. Student Survey Spring 2009. --2009. 49. Student Survey Spring 2008. -- 2008. 50. Student Surveys. -- 2008. 51. Student Survey Spring 2008. -- 2008. 52. Student Survey Fall 2007. -- 2007. 53. Student Survey Fall 2007. -- 2007. 54. Student Survey Spring 2007. --2007. 55. Student Survey Fall 2006. Survey Results. -- 2006. 1. Survey Section 2006. -- 2006. 2. Student Surveys. -- 2005–2006. 3. Student Leadership Evaluation/Planning. -- 2004. 4. Student Satisfaction Surveys. -- 2004. 5. Volleyball Camp. -- 1987–1989. 9. Bike. Trip. -- 1979–1995. 12. Bible Conference. -- 1996. 13. Bethany Week. -- 1978–1983. 14. Student Orientation Packet. -- 1982–1983. 15. Orientation Masters Students. -- 1983–1989. 16. Student Orientation. -- 1978–1992. 18. JAG - Concert. -- 1992. 19. Salmond, Roy - Concert. -- 1985–1986. 20. Steve Bill Concert. -- 1996. 21. “Say Yes” Concert. -- 1990. 22. Life Forever Concert. -- 1988–1992. 23. Messiah Performance. -- 1982–1983. 24. Hymn Fest. -- 1985. 26. Elijah Ontario Performance. -- 1975–1976. 27. Sask. Valley Singers. BBI. -- 1982–1983. 28. Student Mission. -- 1977–1987. 29. Books of Students Memories. 30. Senior Class. -- 1983. 31. Grad Weekend. -- 1998. 32. Staff/Senior Banquet. -- 1984. 33. Fall Supper. -- 1983–1991. 35. Youth Mission 100. -- 1988. 36. San Jose Trip. -- 1992. 37. Paraguay Trip. -- 1993–1994. 38. Missions Project. -- 1972–1973. 40 Mission Workday. -- 1972–1988. 41. Day of Prayer. -- 1967–1992. 42. Deeper Life. -- 1986–1989. 43. Seminary Day. -- 1991–1992. 44. Camp Directions Day. -- 1992. 45. Student Affairs. -- 1977–1989. 46. Student Affairs. -- 1981–1982. 47. Student Affairs. -- 1980–1981. 48. Student Affairs. -- 1978–1981. 5. Bulletins, letters, etc. Posters, Facts about Bethany, and Class Timetable. -- 1966–1970. 6. Publicity. Posters, Bulletins, and Correspondence. -- 1968–1969. 7. Publicity, chiefly correspondence re: record production. -- 1969–1970. 8. MB Herald. Correspondence with Harold Jantz. -- 1969–1972. 9. Publicity General. Correspondence and pamphlets. -- 1969–1970. 10. Publicity Materials. Posters and Pamphlets. -- 1971–1972. 11. Contact/Mirror. Correspondence and Alumni Notices. -- 1972–1973. 14. Prayer-o-gram. Prayer Notices. -- 1970–1974. 15. Publicity Materials and Letters. Correspondence and Posters. -- 1971–1973. 16. BBI Brochures. Pamphlets. -- 1972–1973. 17. Bulletin Insert and Correspondence. -- 1971–1973. 18. News Bulletins. -- 1971–1973. 19. Advertising. Correspondence with Periodicals and Advertising Rates. -- 1973–1974. 20. Proposed Publicity Budget. -- 1973–1974. 21. Articles for inclusion in MB Herald. -- 1973. 22. News releases and correspondence re: lectures. -- 1974–1975. 23. Publicity Projections and Bethany Blitz. -- 1974–1975. 24. Collinwood Recording Ltd. (Esterhazy). Correspondence. -- 1975. 25. Brochure (General introduction to BBI). Write-up. -- 1975–1976. 26. Advertising Correspondence. -- 1975–1976. 28. Prayer-o-gram. Prayer Notices. -- 1975–1976. 29. Form letters. -- 1975–1976. 30. Publications re: Jubilee. Correspondence and articles. -- 1976–1977. 31. Literature samples. -- 1976–1977. 32. Advertising Correspondence. -- 1976–1977. 33. News releases. Correspondence and article on Bethany Jubilee. -- 1976. 34. BBI Brochures. -- 1975–1977. 35. Posters and Announcements to churches, and price quotes from Midwest Litho Ltd. -- 1976. 36. Academic report by A. Enns and “How to Prepare Reports and Term papers. -- 1976–1977. 37. Publicity Projections. Proposed Publicity Budget, Faculty Orientation Meeting Minutes. -- 1977–1978. 38. Advertising Correspondence. -- 1977–1978. 39. News releases. Correspondence and news release re: 51st year in session. -- 1977–1978. 40. Public Programs and Bulletins. Opening service and concert programs. -- 1977–1978. 41. Publicity Samples. -- 1977–1978. 42. Bulletins (Choir Tours and Commencement). -- 1977–1979. 43. BBI Brochures. -- 1977–1978. 44. Calendars (Jubilee year). -- 1976–1980. 45. News releases. -- 1978–1982. 47. Western Tract Mission. Contact pamphlets. -- 1979. 49. BBI Logo. -- 1980. 50. News releases. -- 1981–1989. 51. Recording. Correspondence. -- 1981. 52. Bulletins (Choir tours). -- 1981–1982. 53. “Bringing Bethany into Focus” booklet. Master copies. -- 1981–1982. 54. Bethany “Life” Bulletin. Informational inserts. -- 1982–1986. 55. Publicity Committee. Promotional material and correspondence. -- 1981–1983. 56. Bulletin Material. Programs, etc. -- 1982–1983. 58. “A Reminder to Pray” Prayer Reminder (master). -- 1983–1985. 59. Graduation Banquet. Invitations and Commencement Program. -- 1983. 60. Publicity Minutes. Correspondence and Promotional Material. -- 1983–1984. 61. Bulletins (Masters). -- 1983. 62. Junior Class Spring Banquet. Program and Invitation. -- 1984. 63. Bethany Publication. Rick Schellenberg and Deric Mueller. -- 1996–1999. 1. Advance Program. -- 1988–2004. 3. Sports Camps. -- 1995–2014. 4. Publicity Material. -- 2000–2013. 9. Bulletin Insert. -- 1982–1992. 10. Promotional Material. -- 1986–1997. 11. Press Release. -- 1986–2000. 13. Bethany Bible Institute. Catalogues. -- 1962–2015. 14. Convention Manual. Bethany Bible Institute. -- 1993–1999. 15. Bethany Bible Institute. “Celebrating God’s Faithfulness” 75 Anniversary. -- 2002. 16. Youth Retreat. -- 1963–1996. 17. Youth Retreat. -- 1970–1971. 18. Youth Retreat. -- 1972–1978. 19. Youth Retreat. -- 1980. 20. Youth Retreat. -- 1981–1989. 21. Youth Retreat. -- 1990–1996. 1. Student Yearbooks. -- 1989–2014.